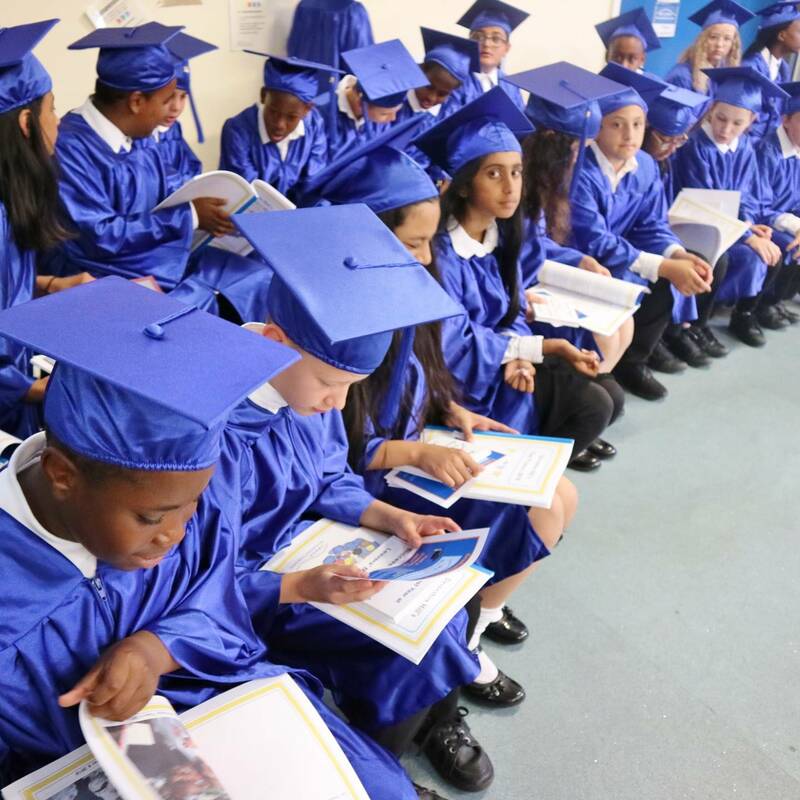 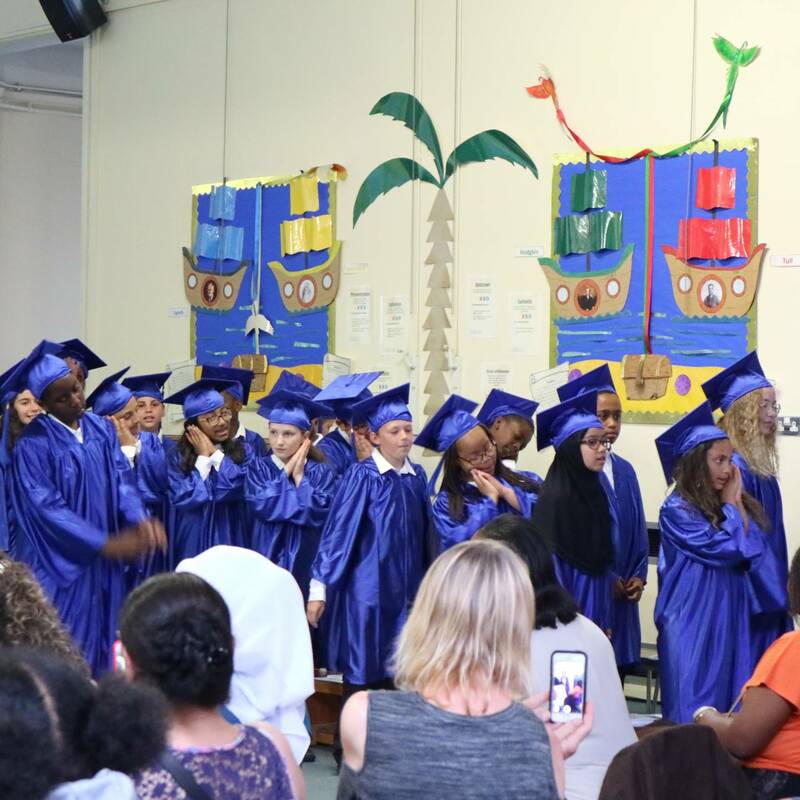 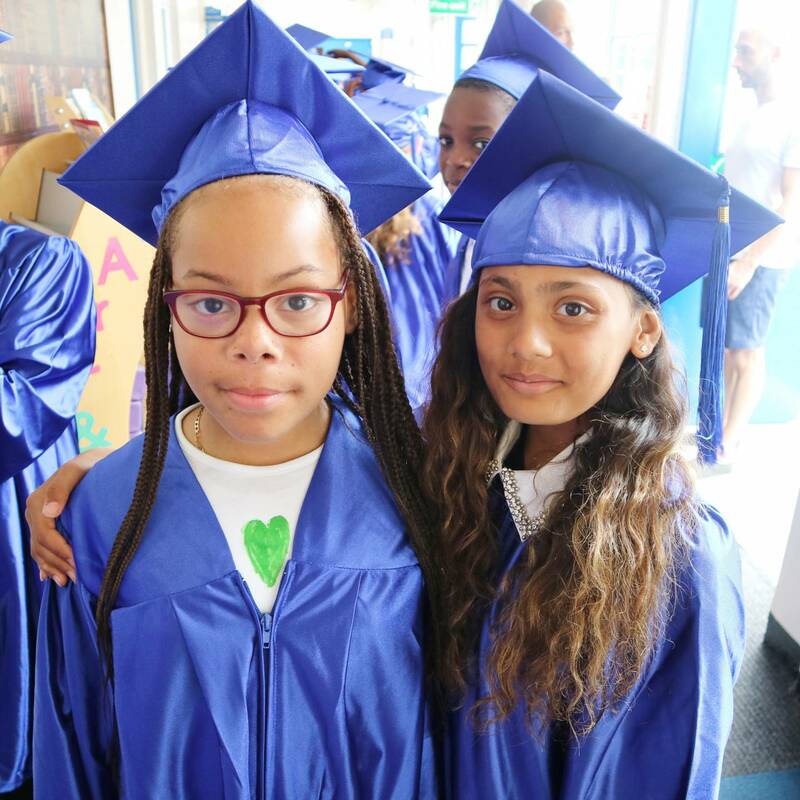 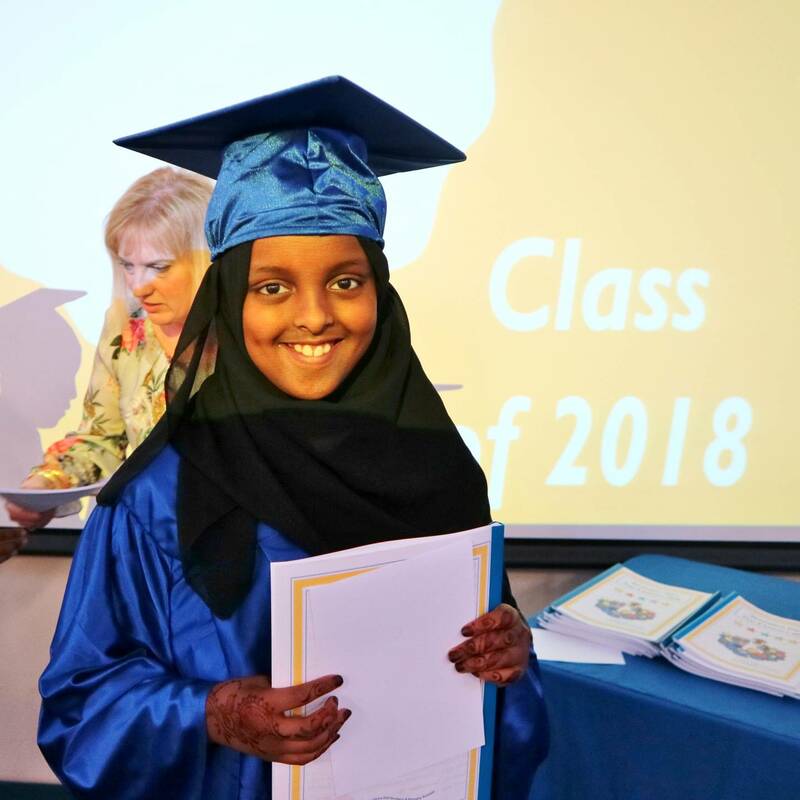 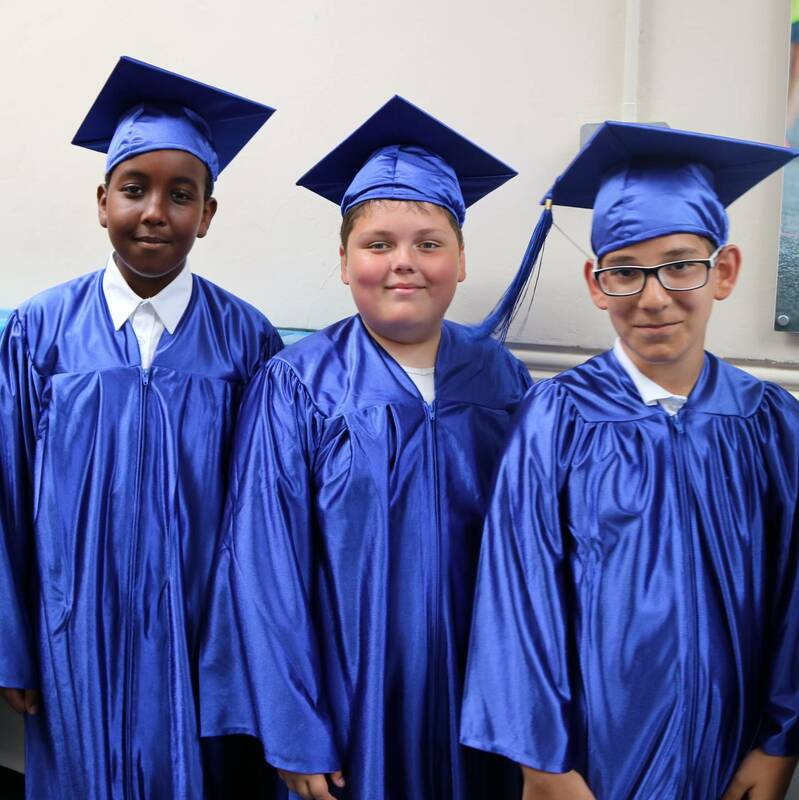 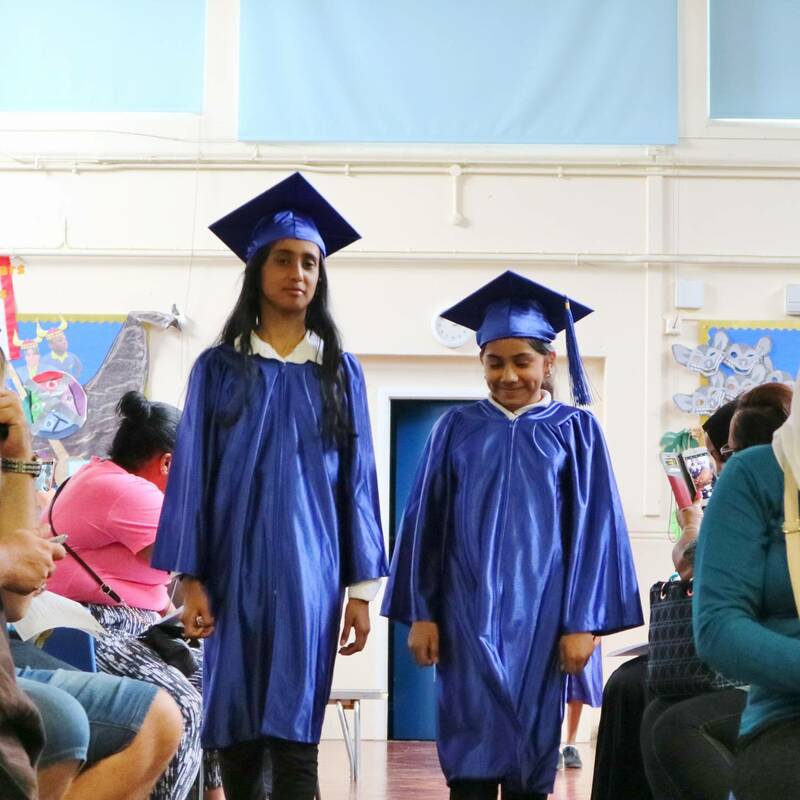 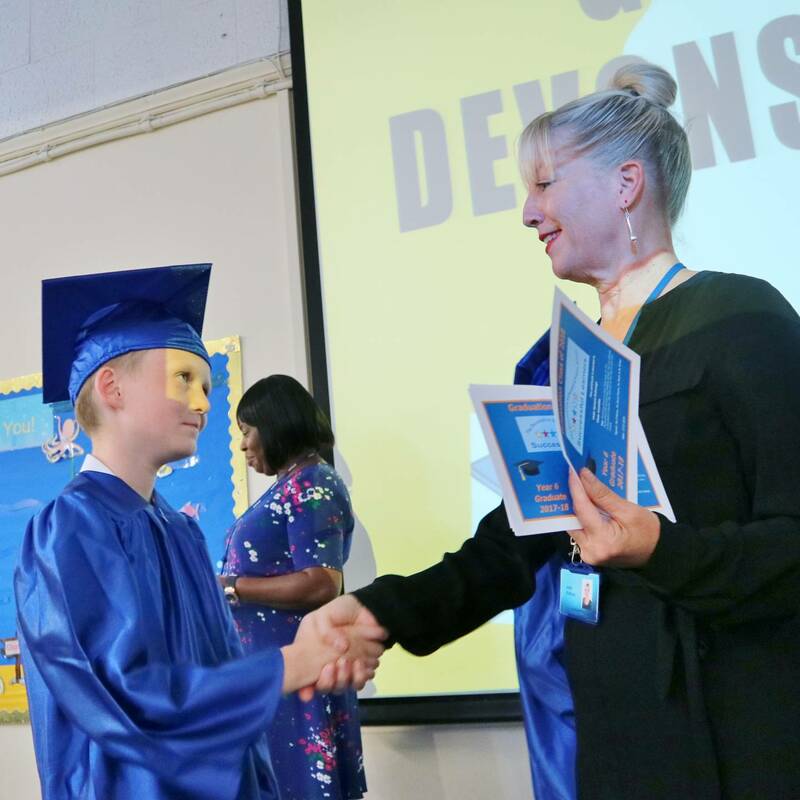 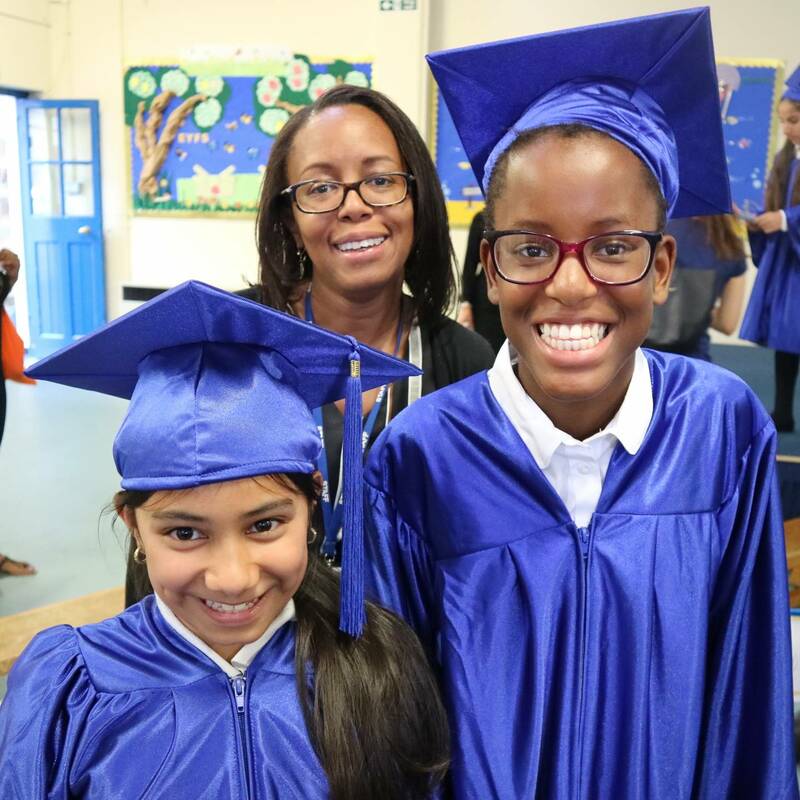 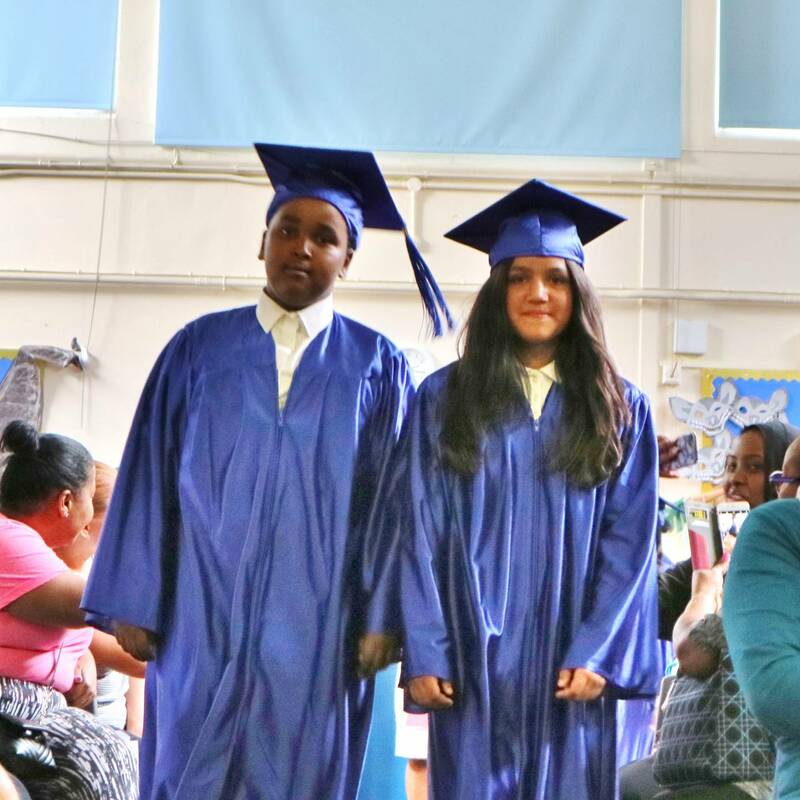 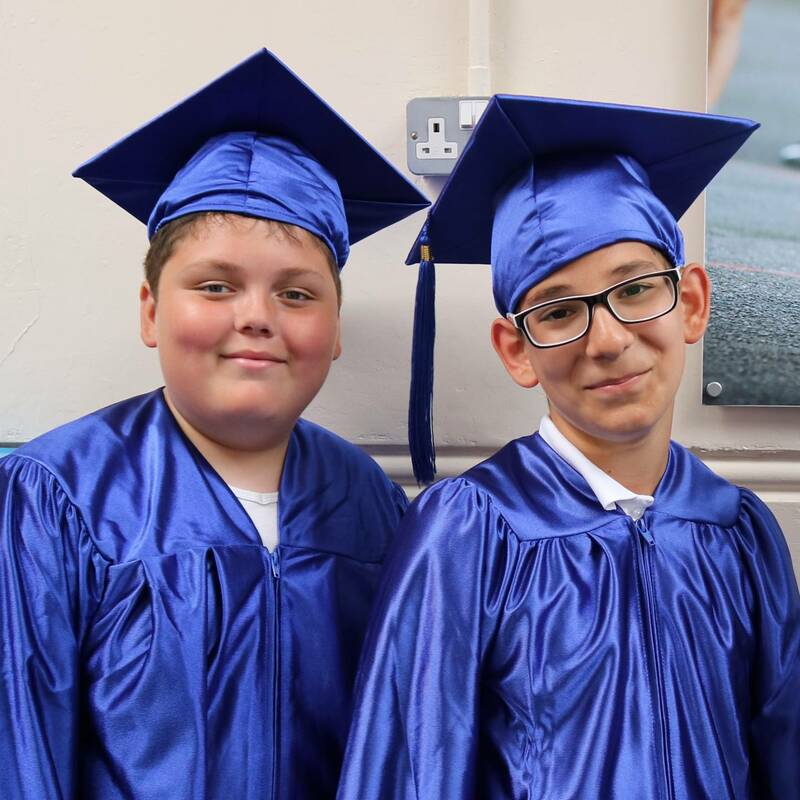 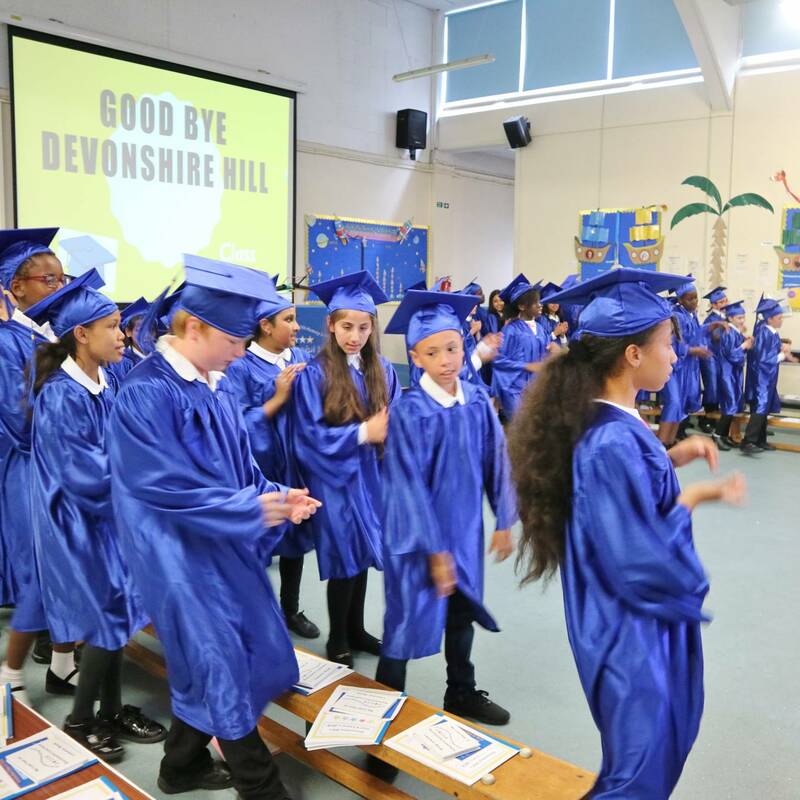 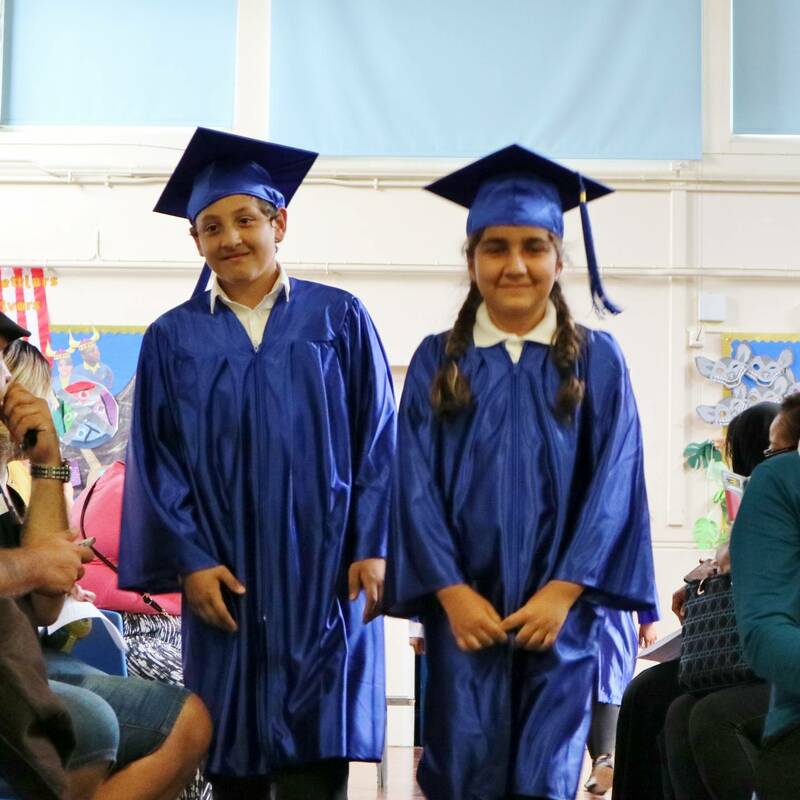 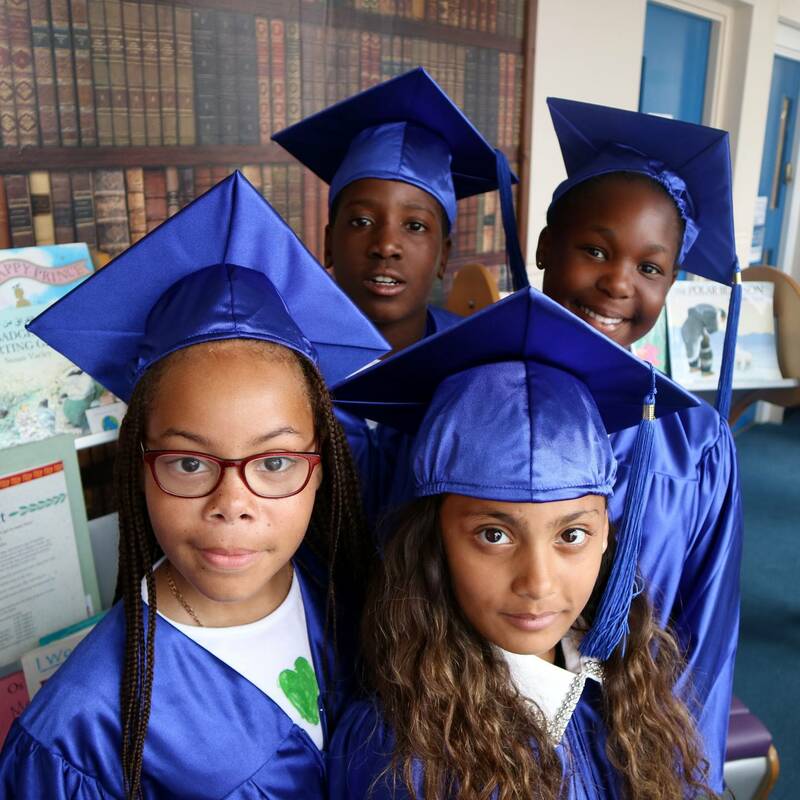 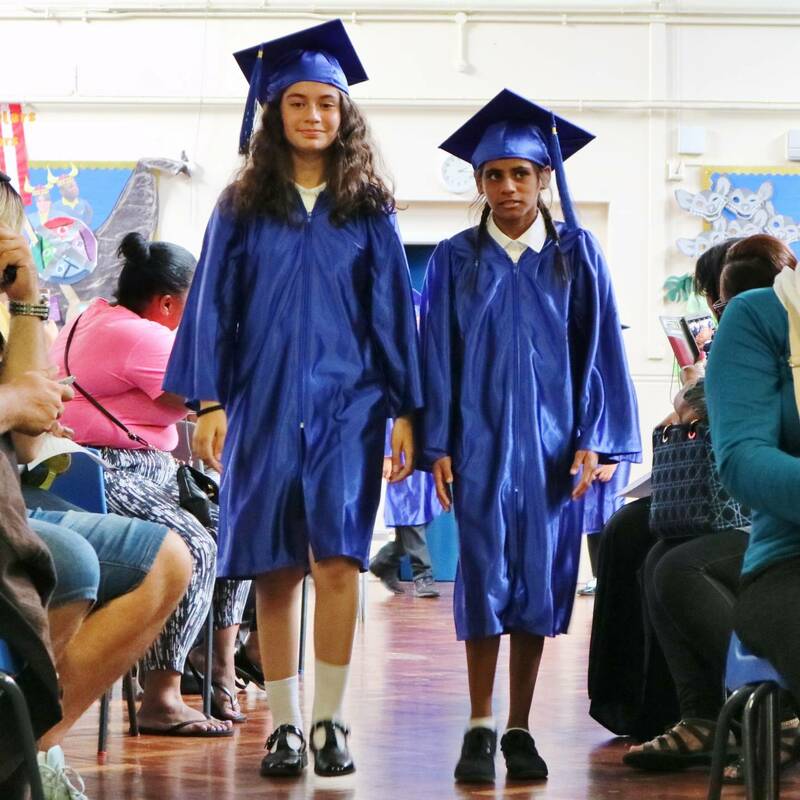 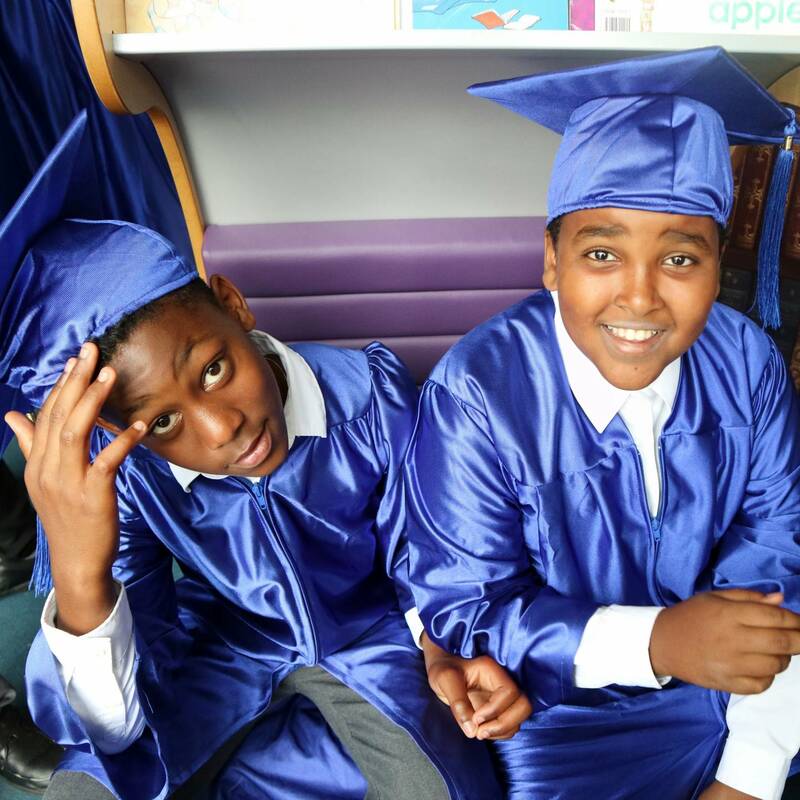 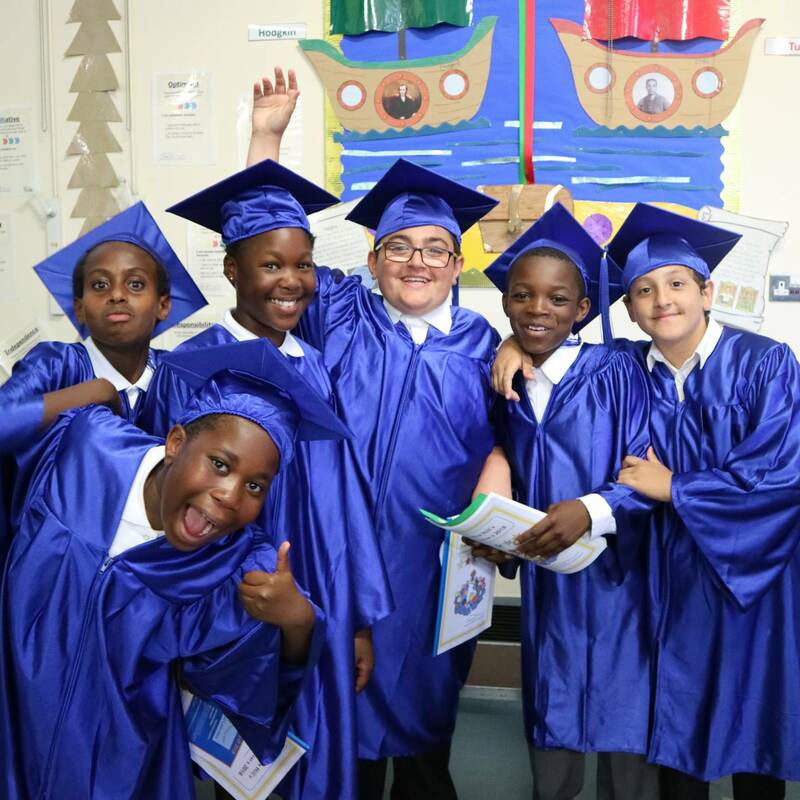 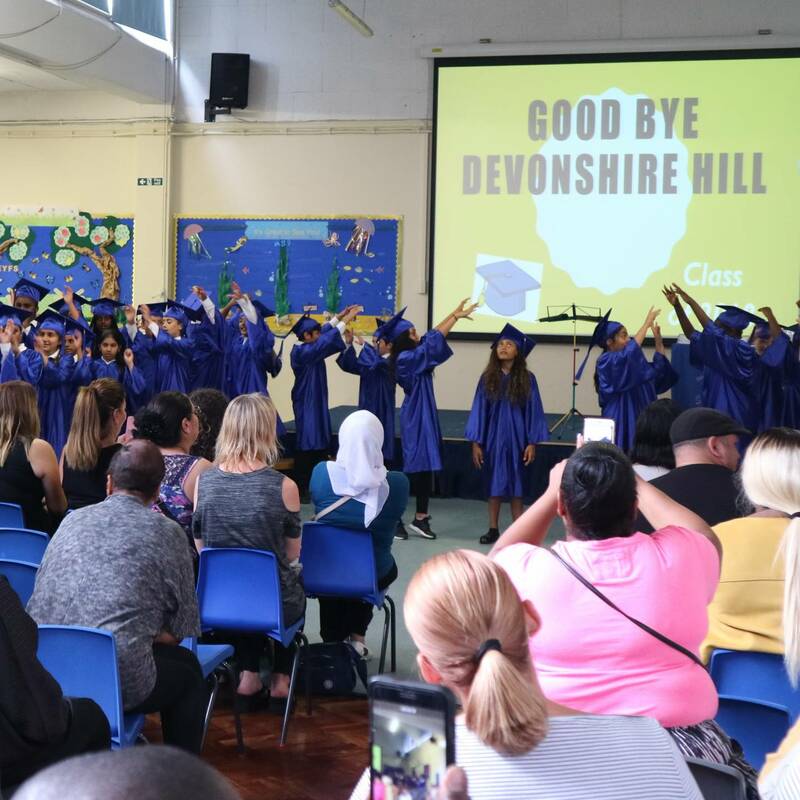 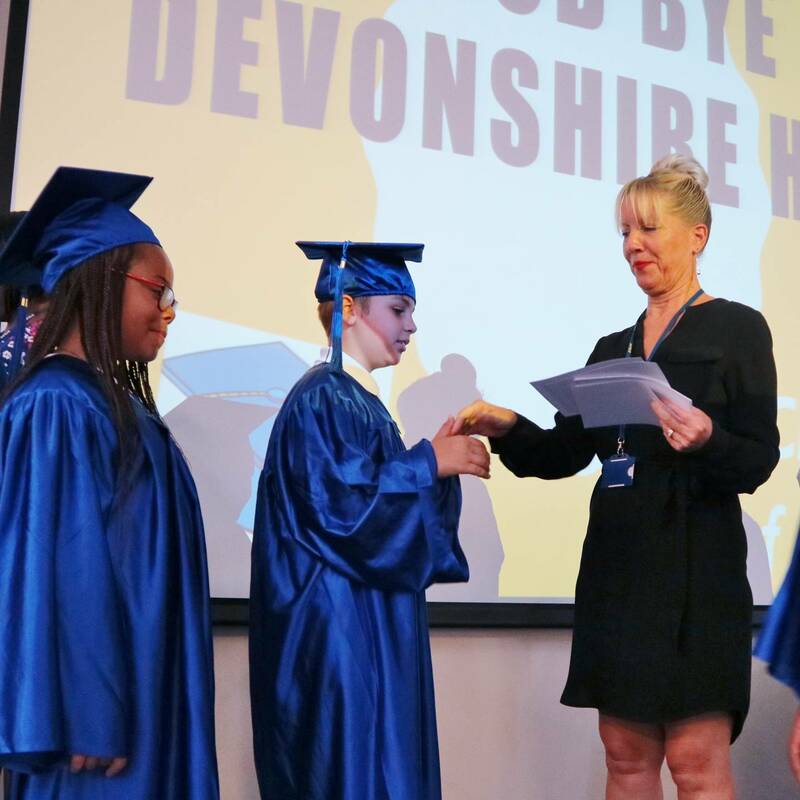 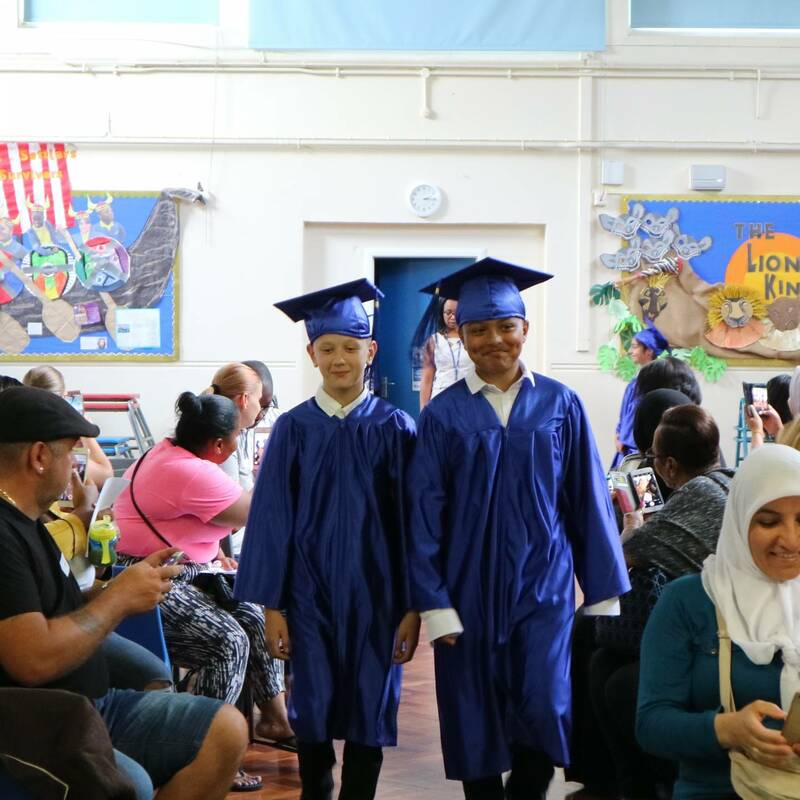 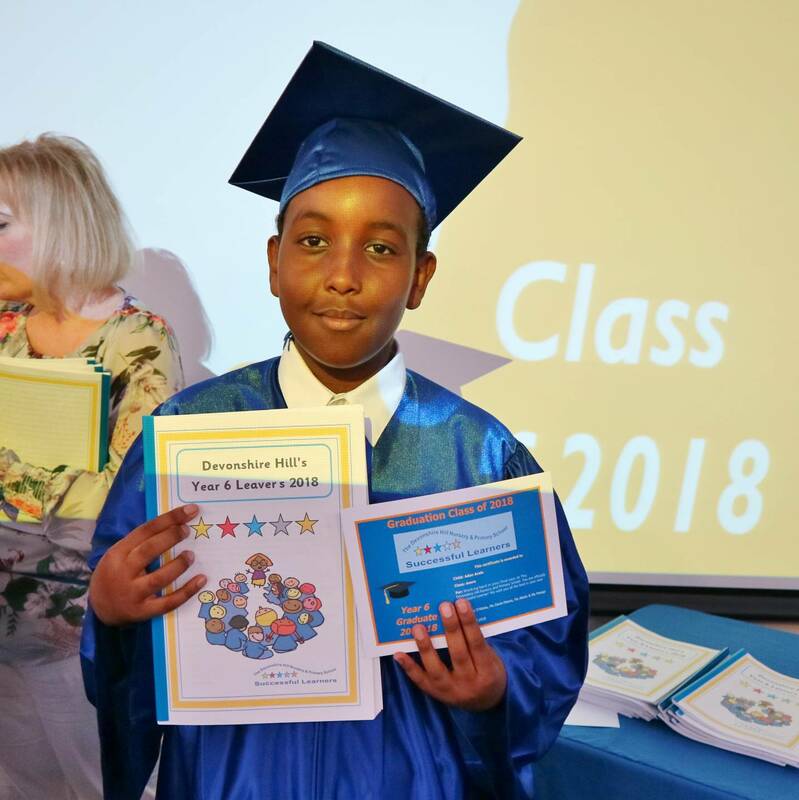 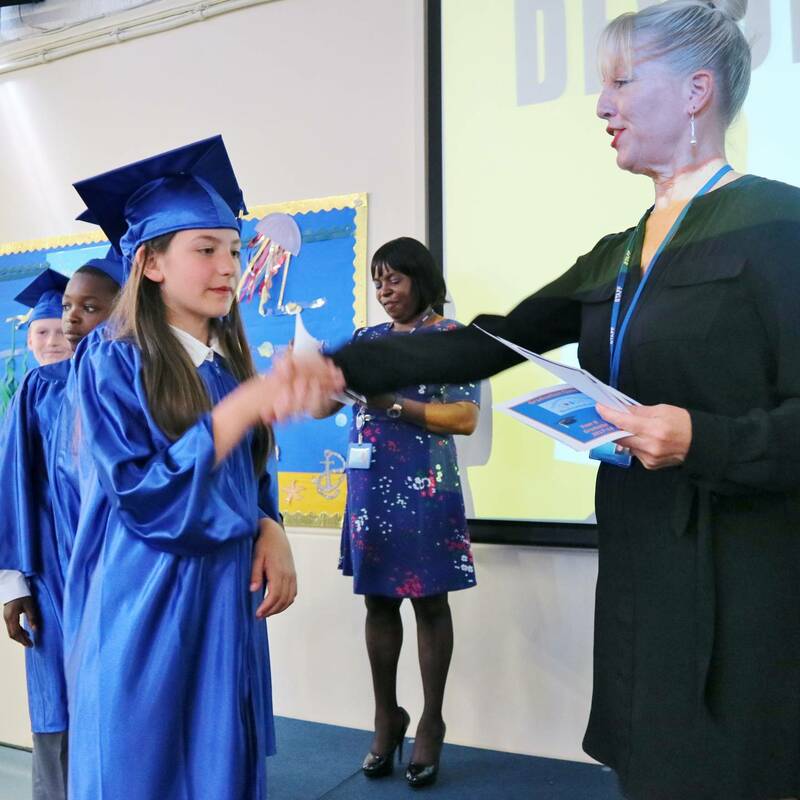 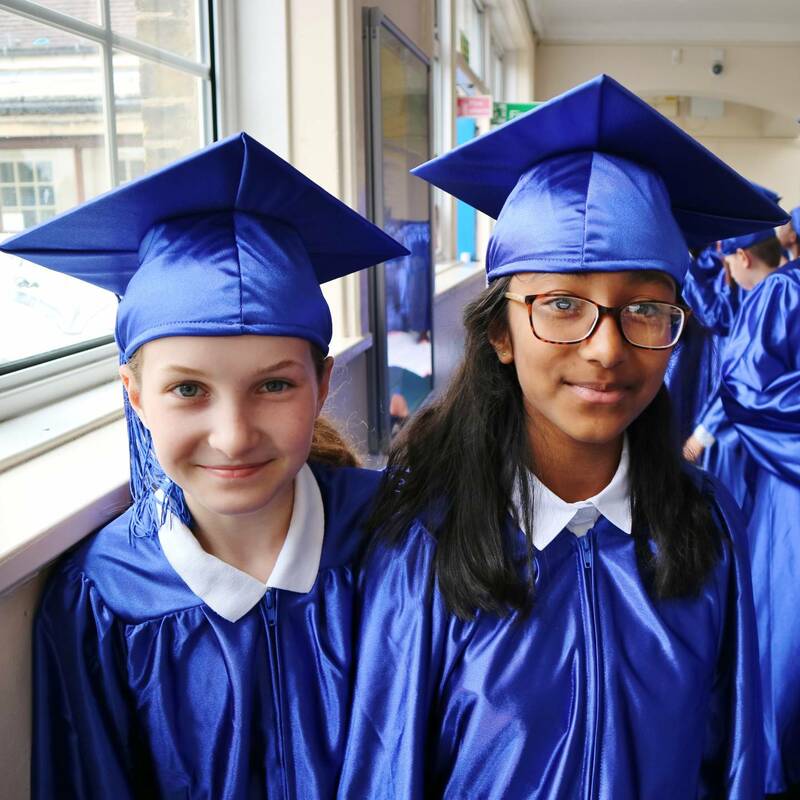 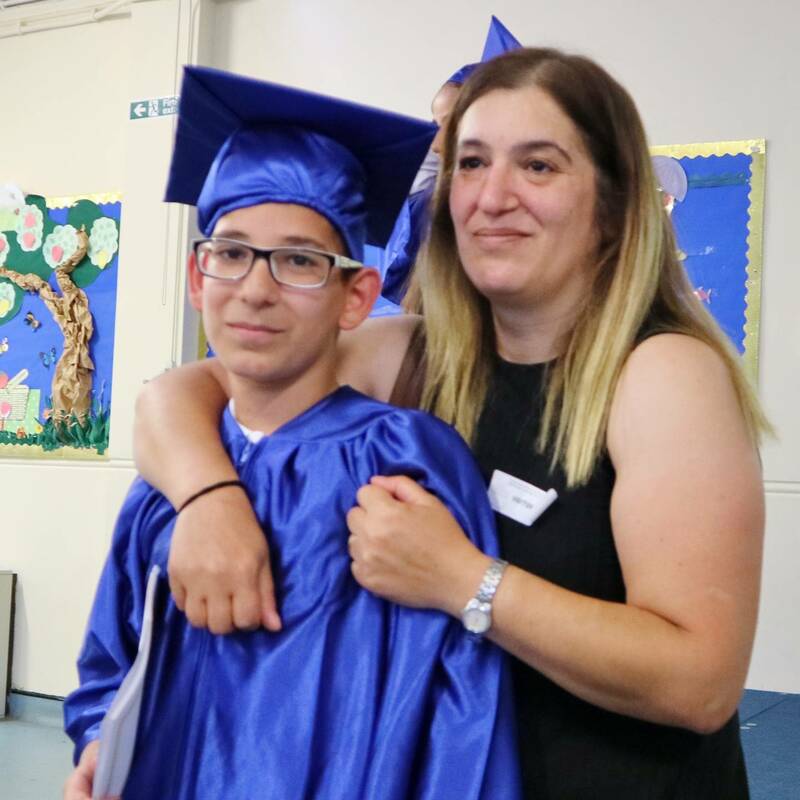 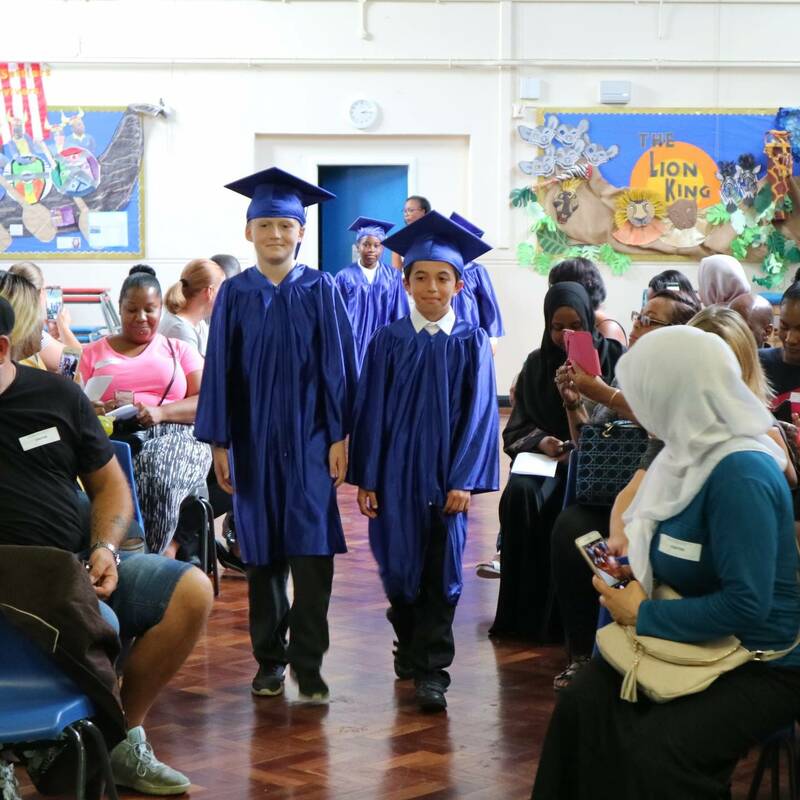 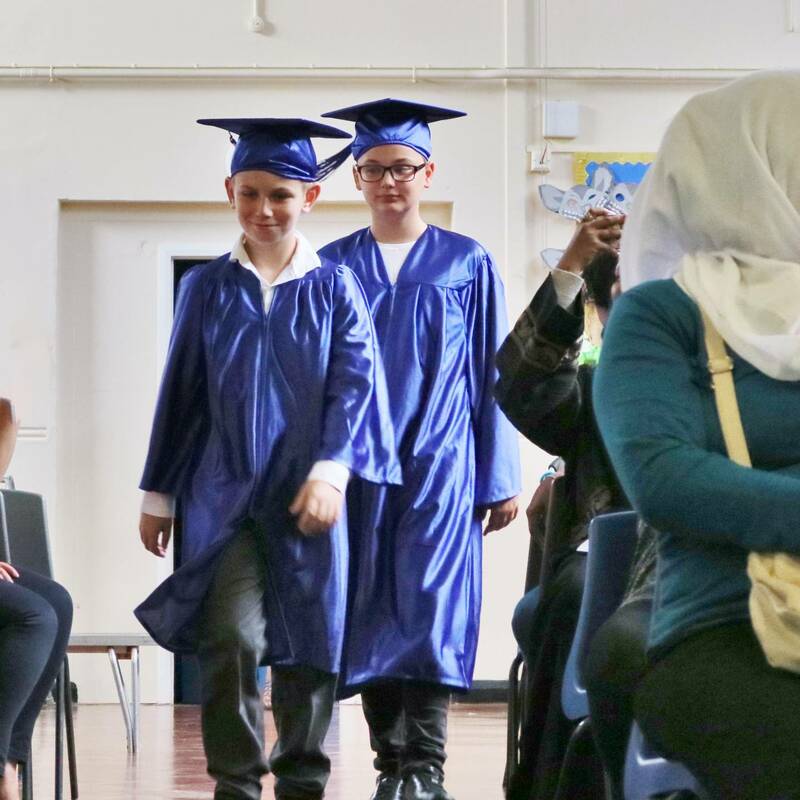 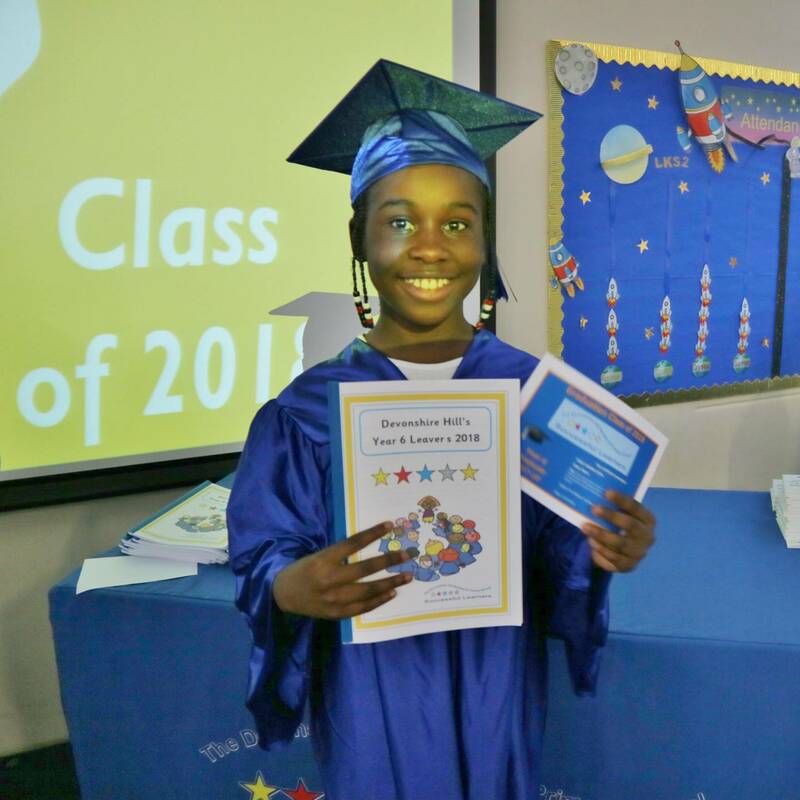 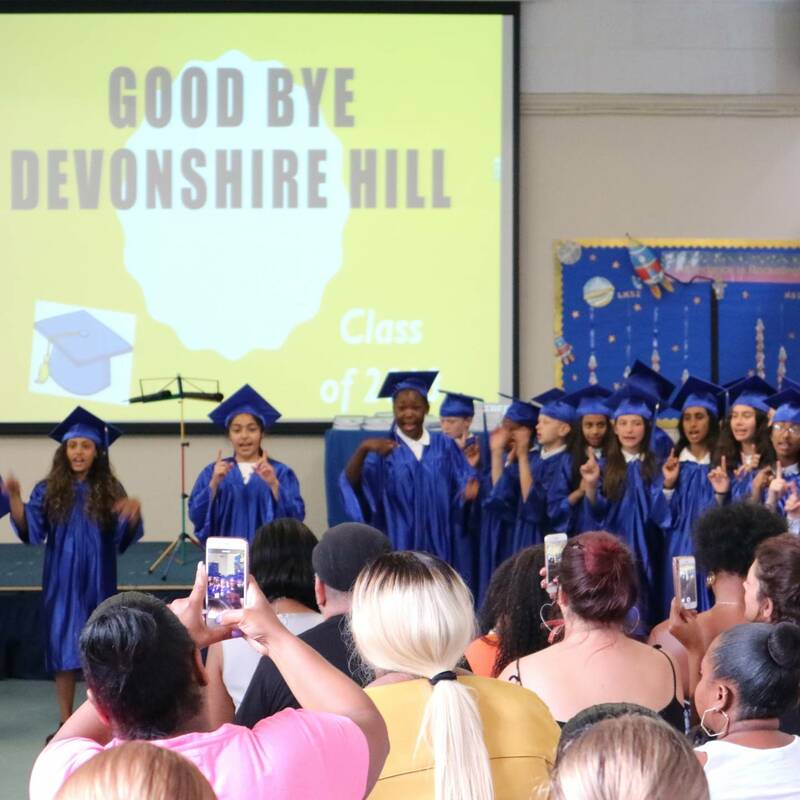 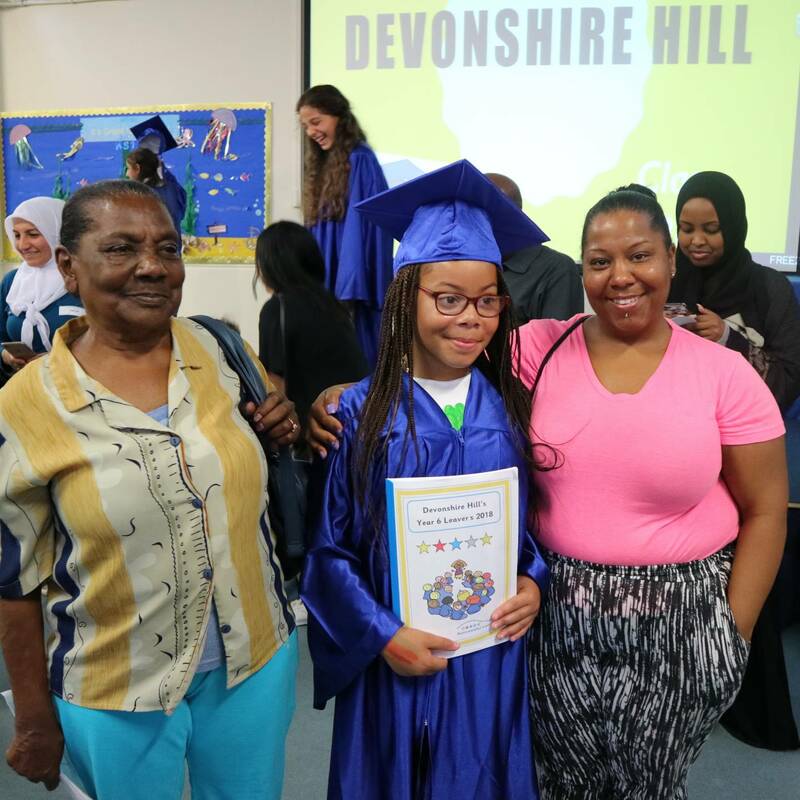 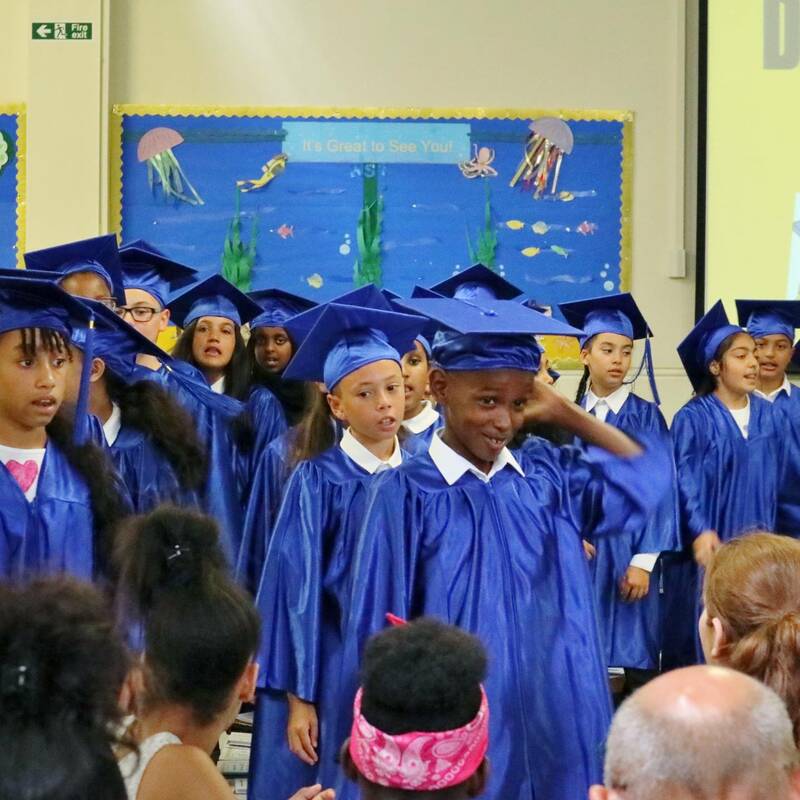 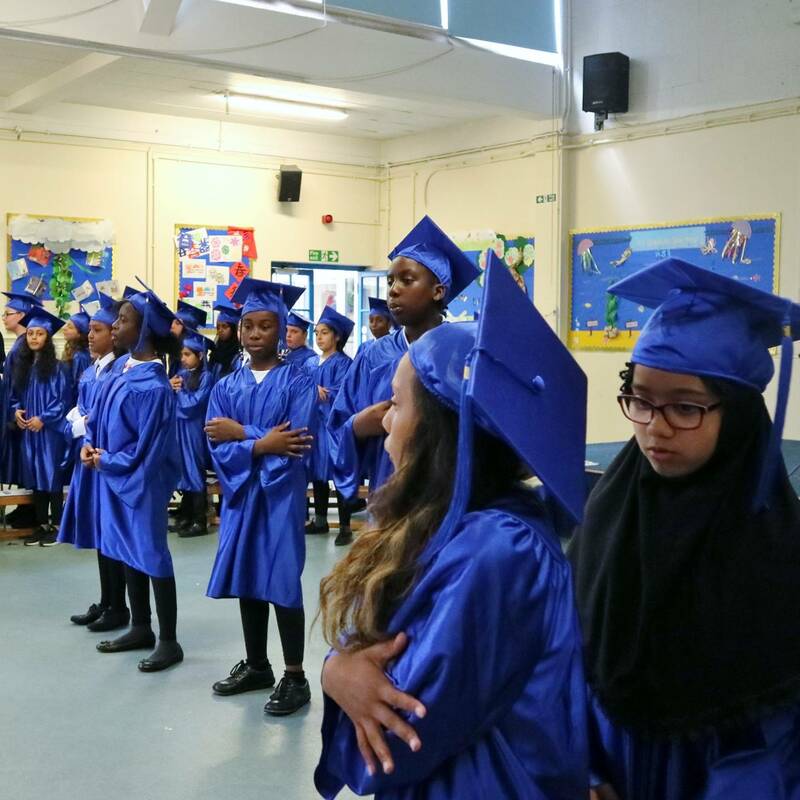 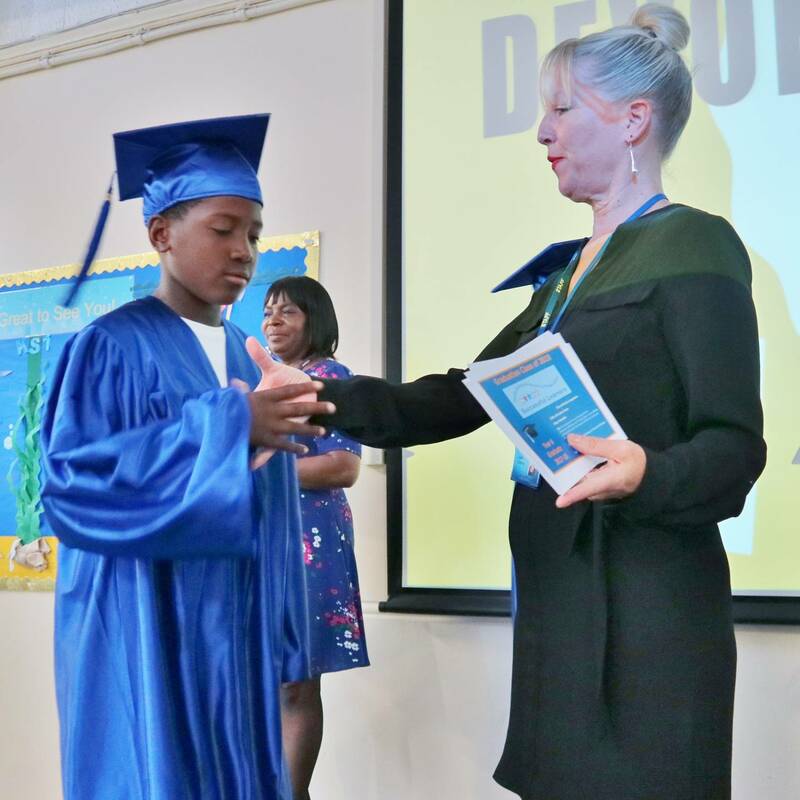 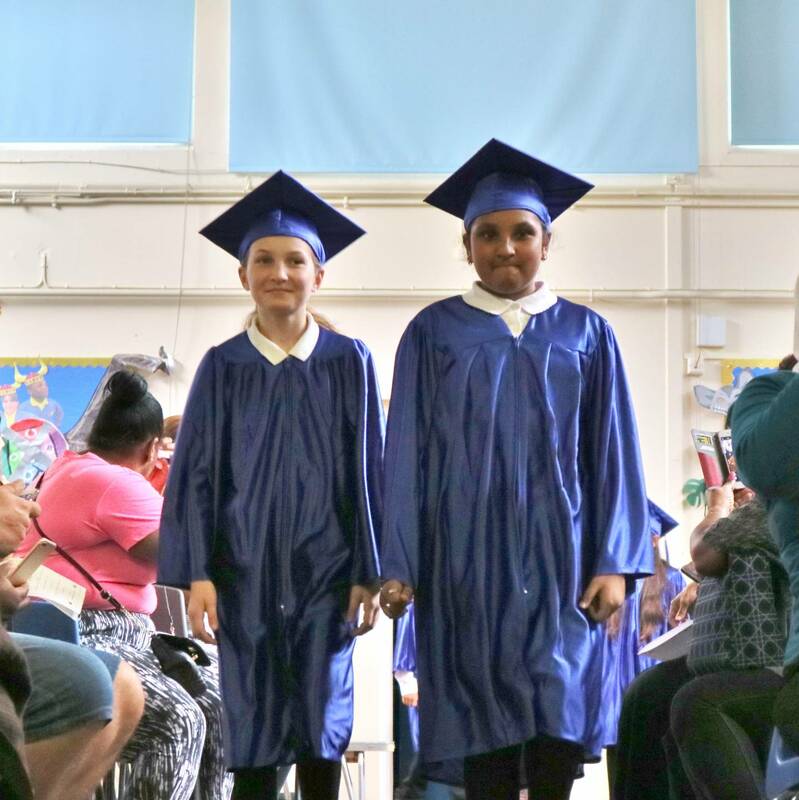 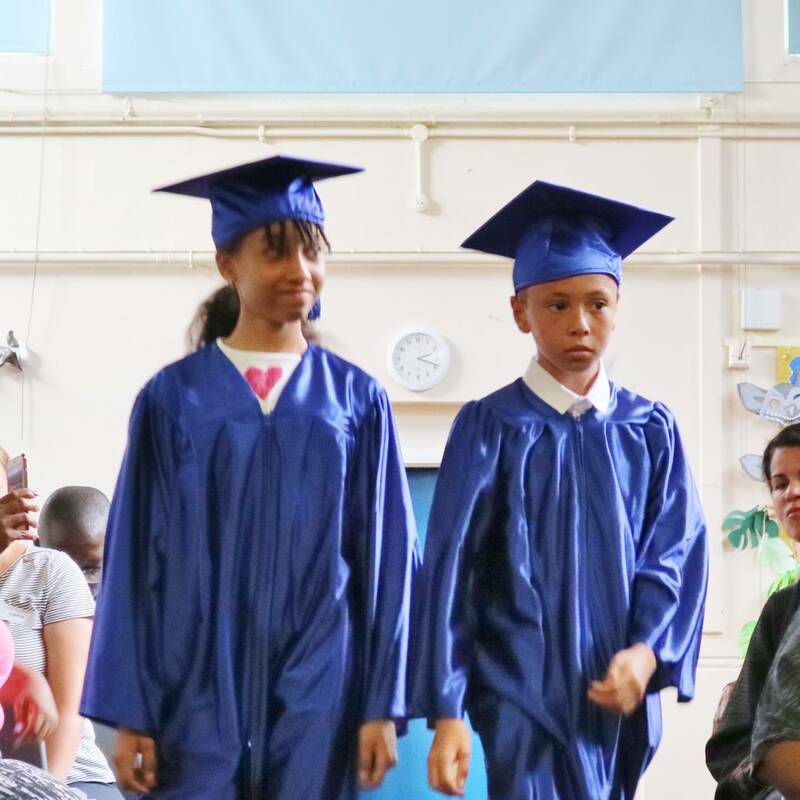 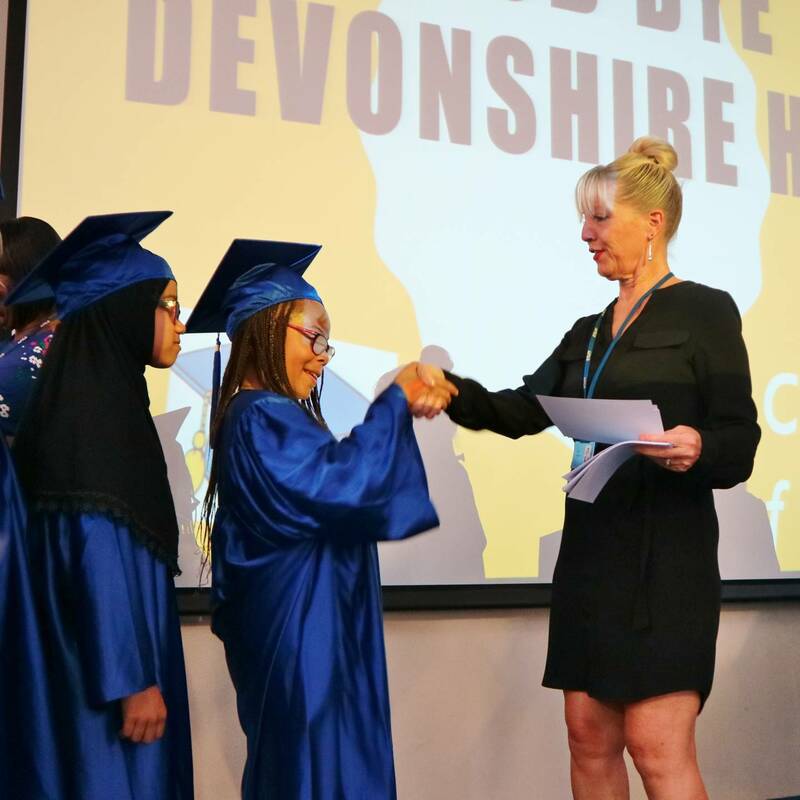 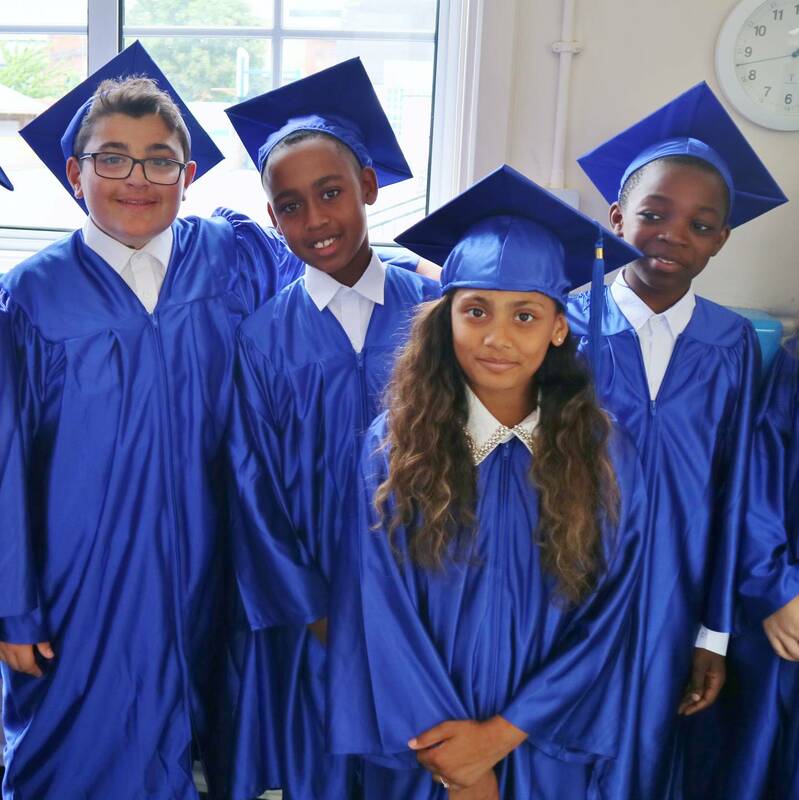 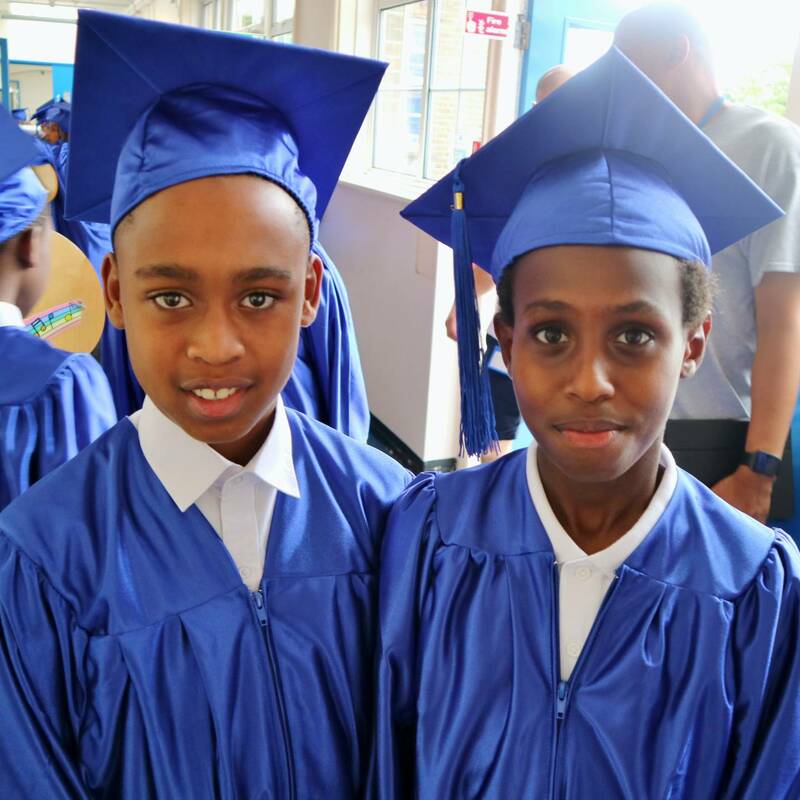 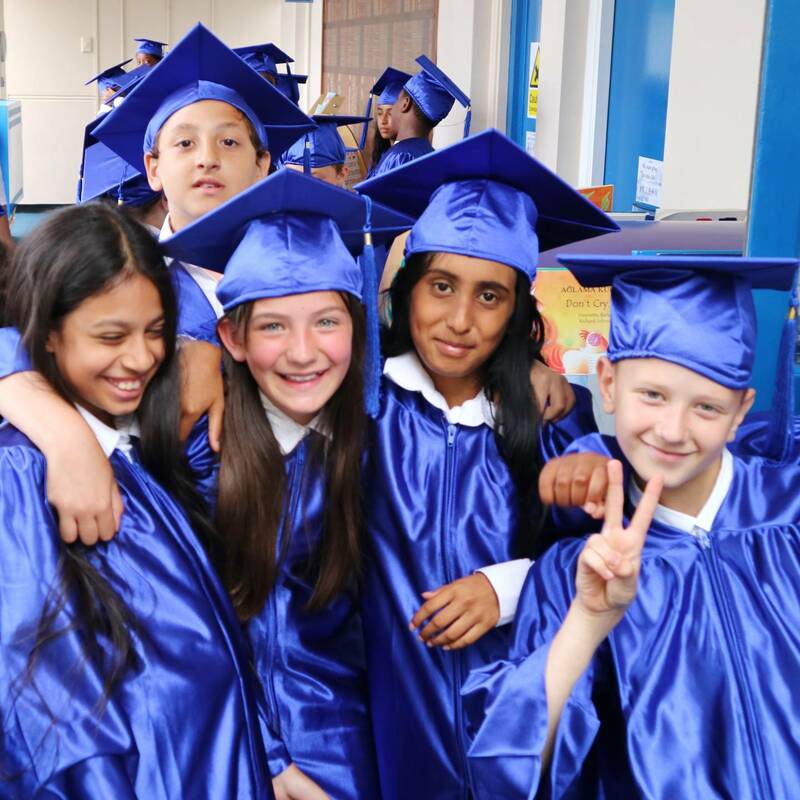 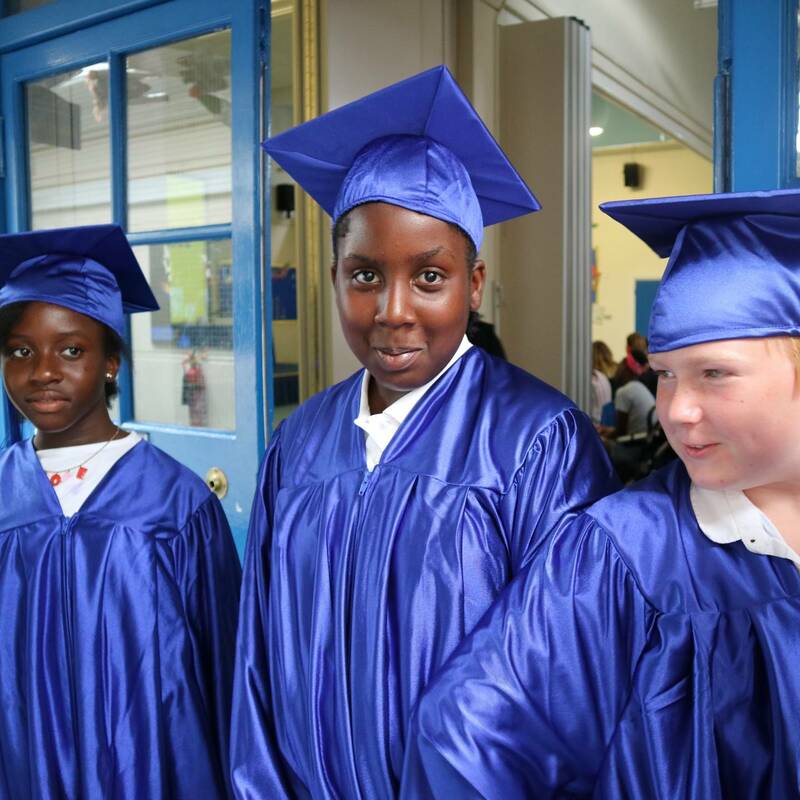 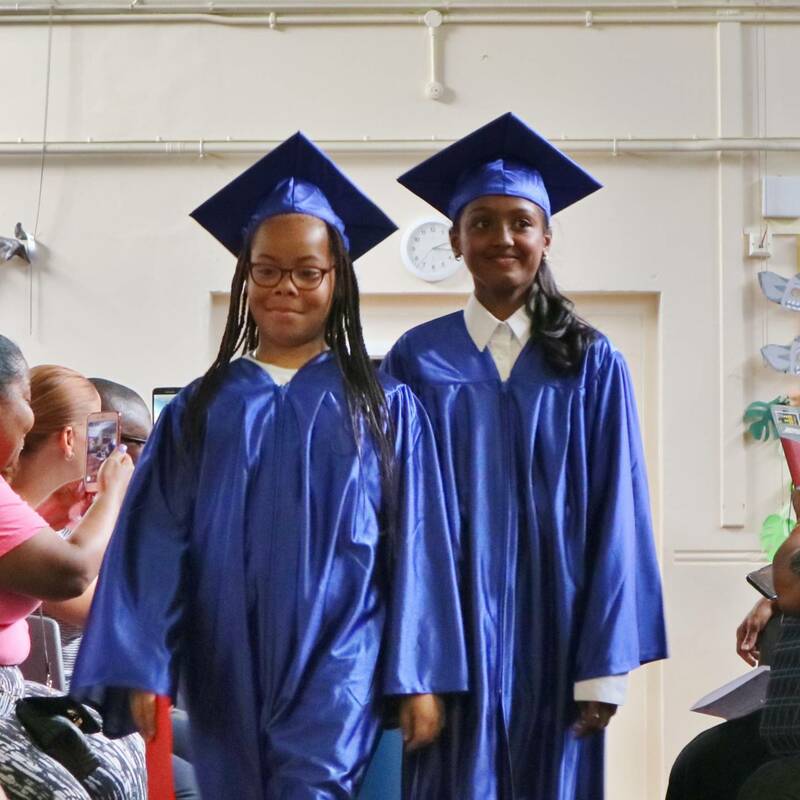 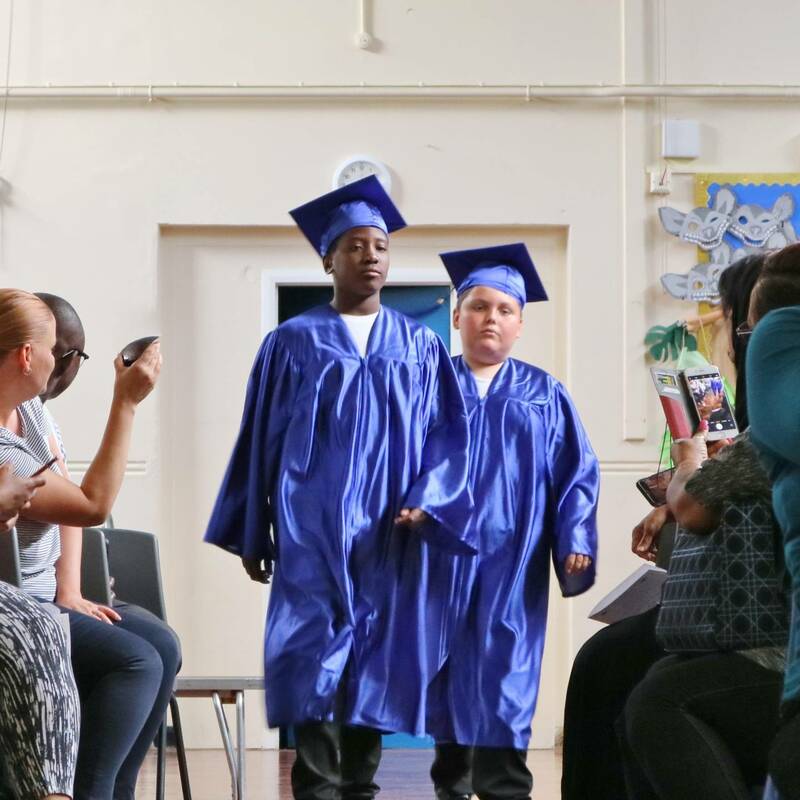 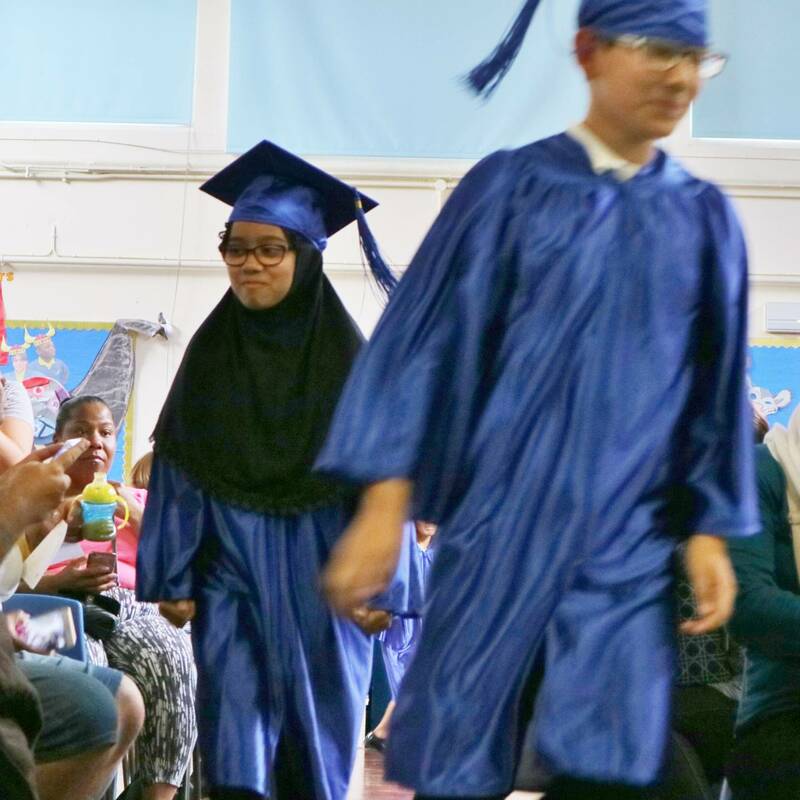 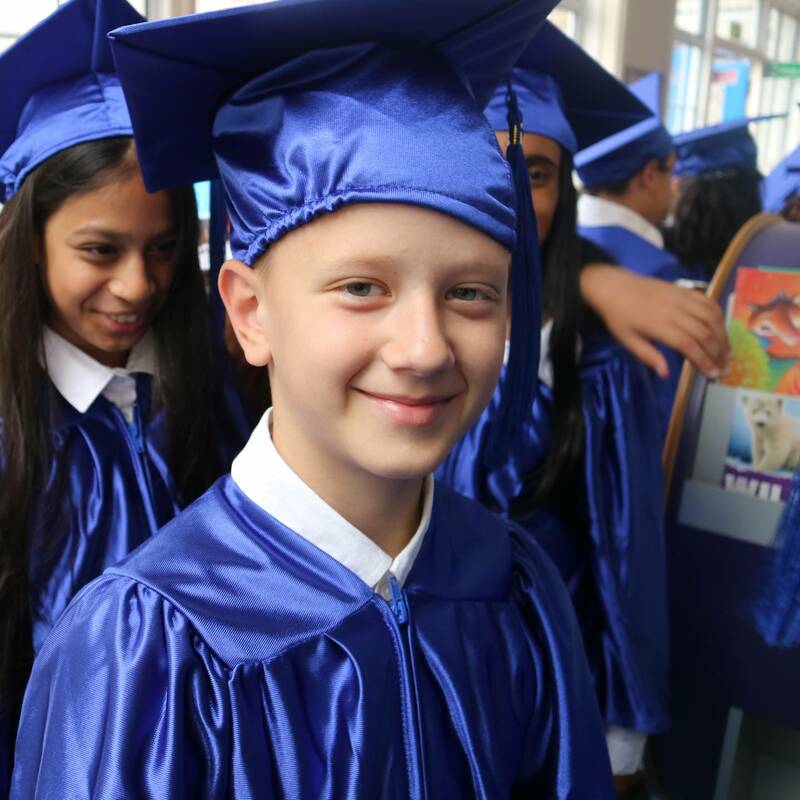 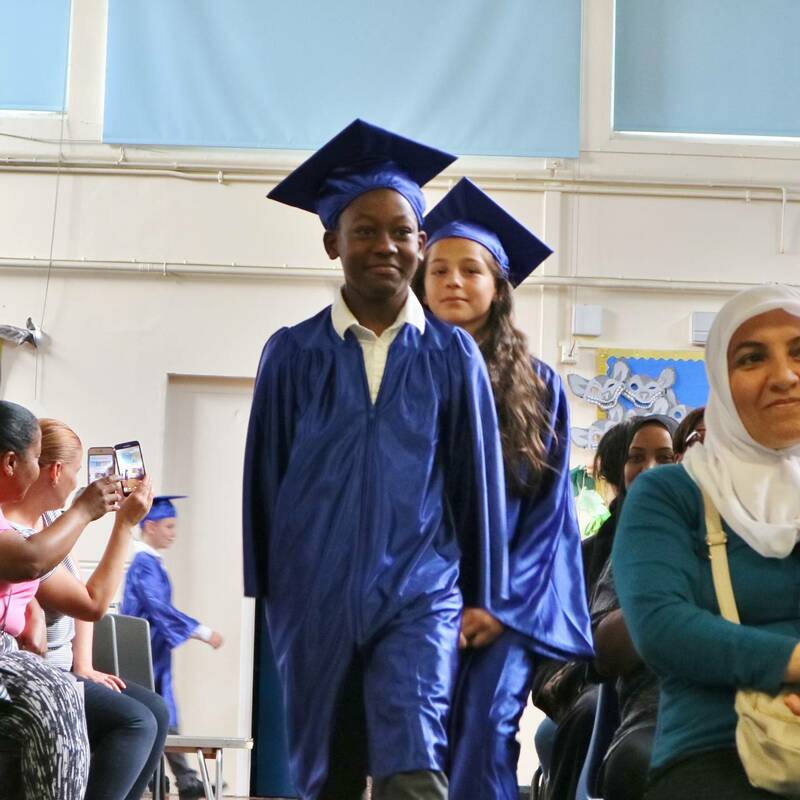 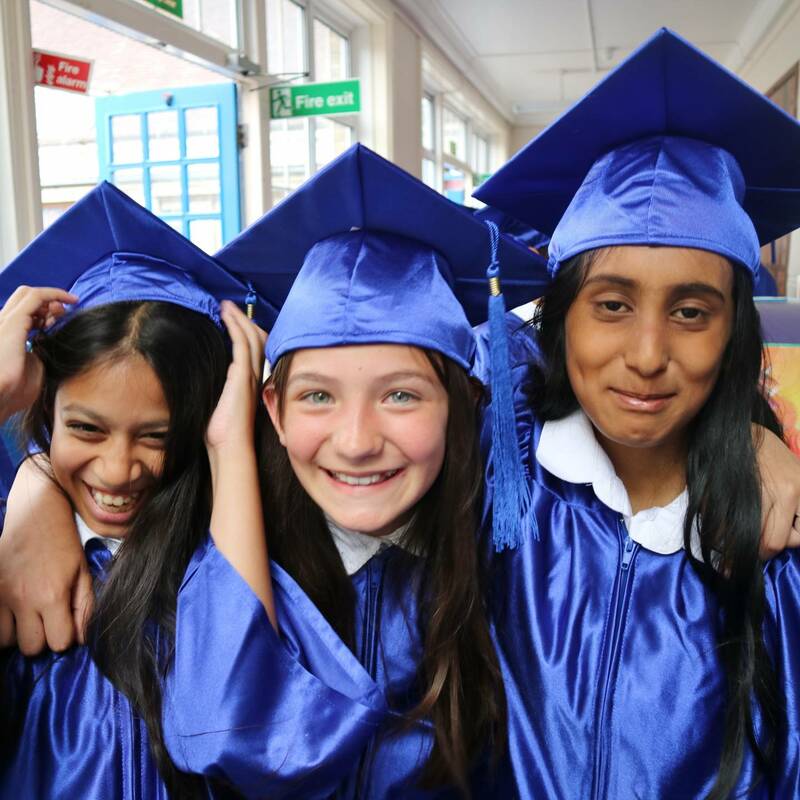 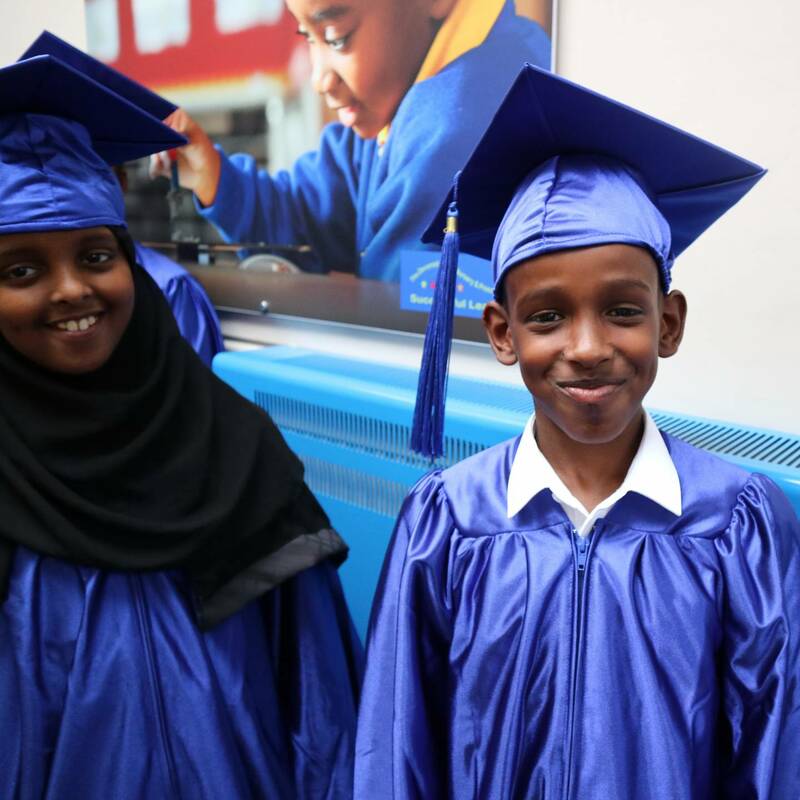 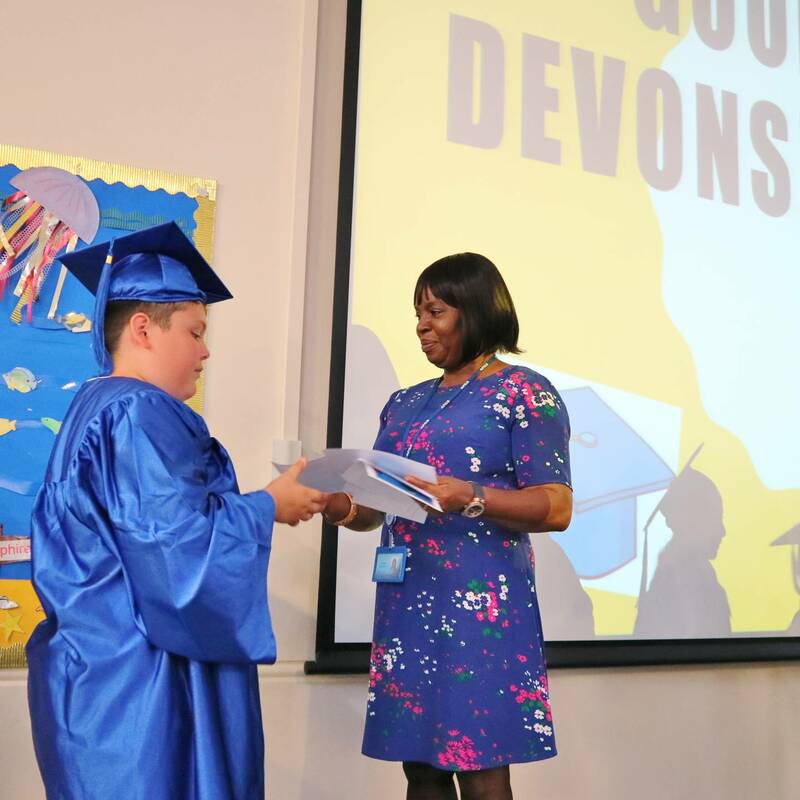 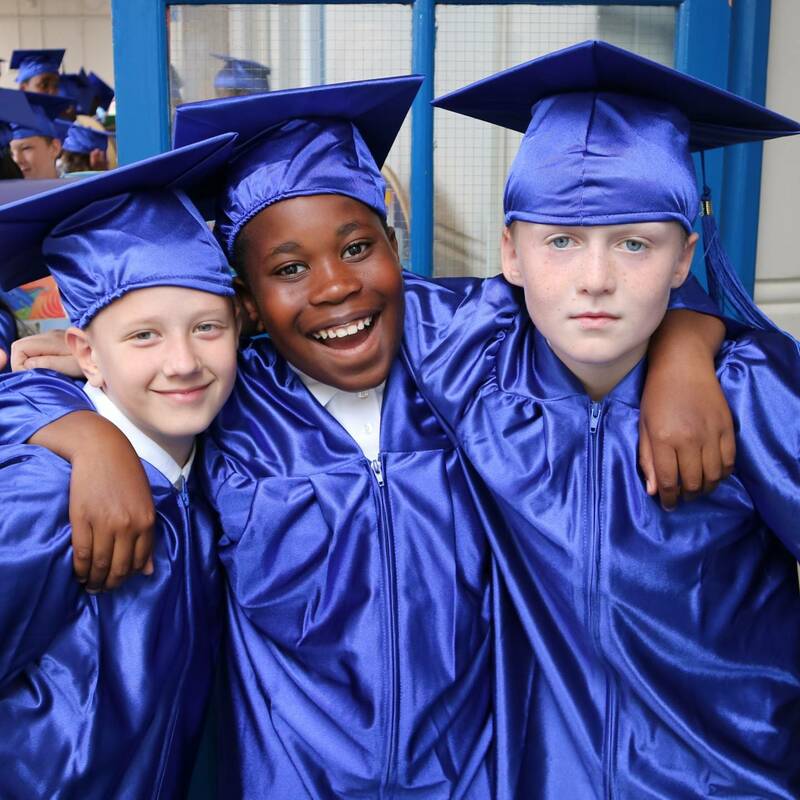 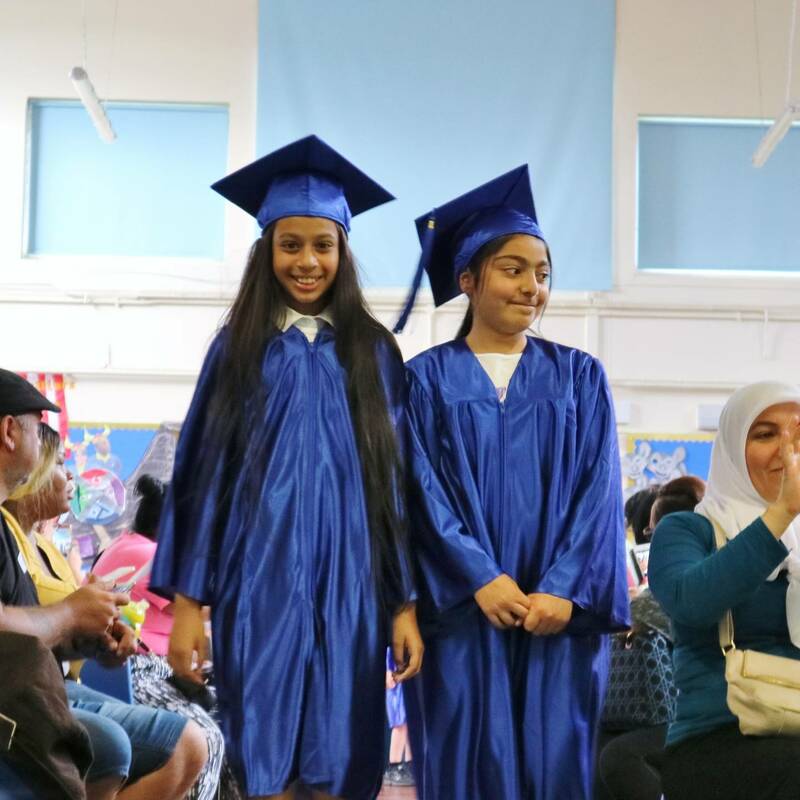 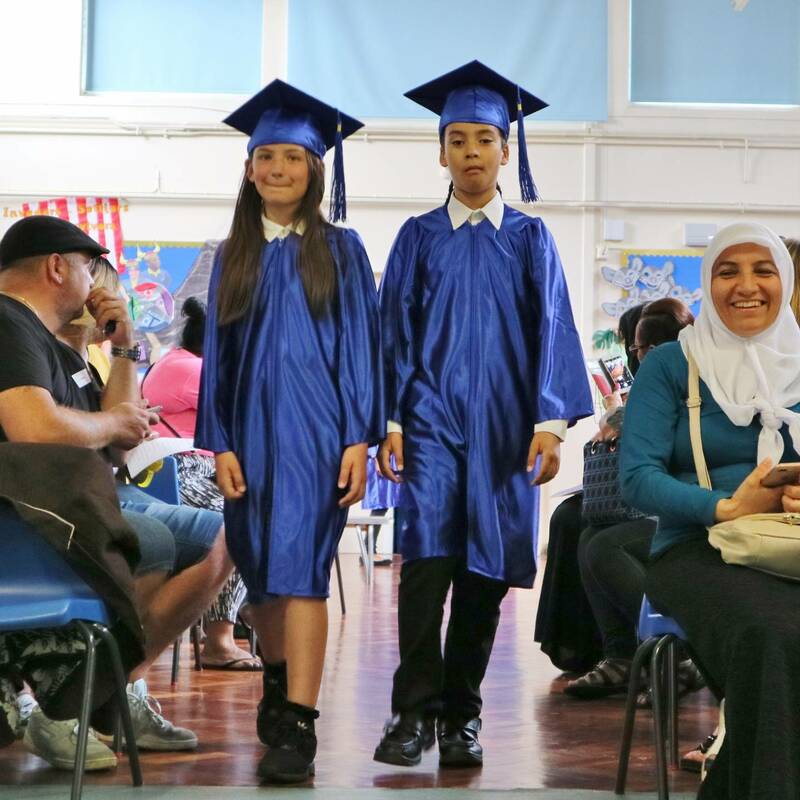 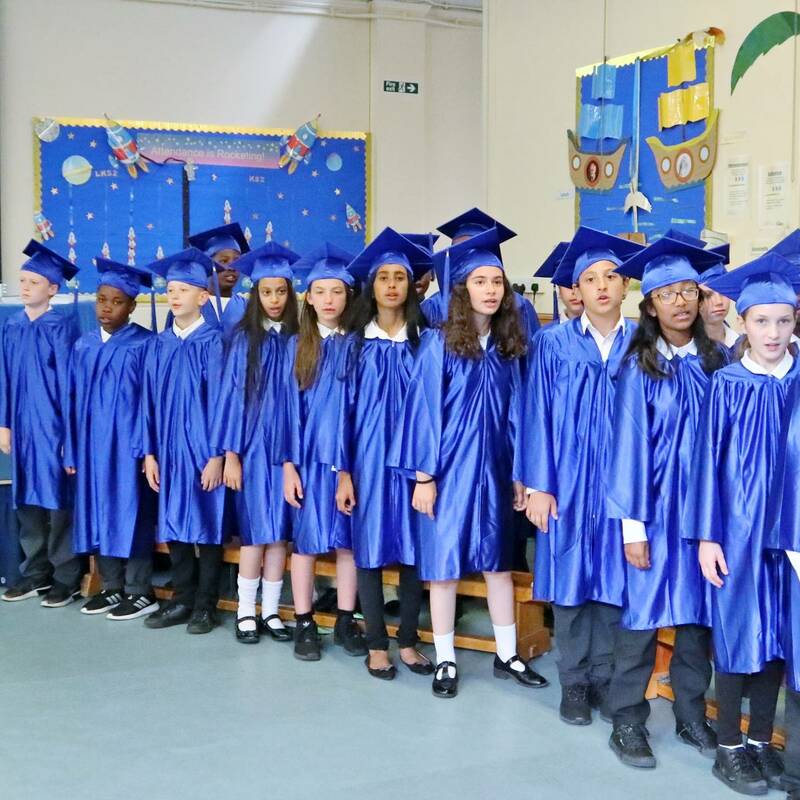 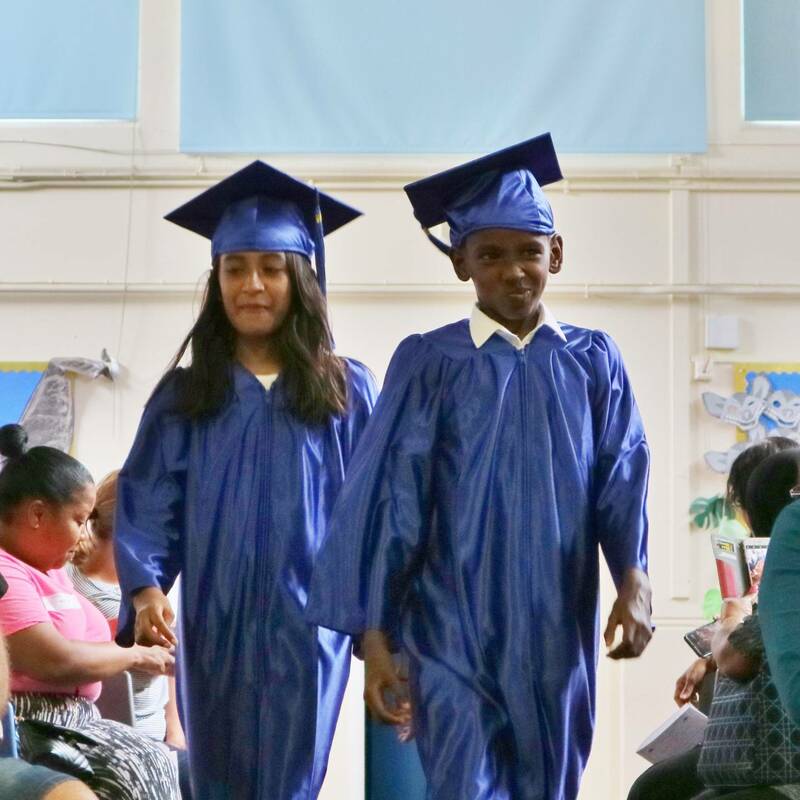 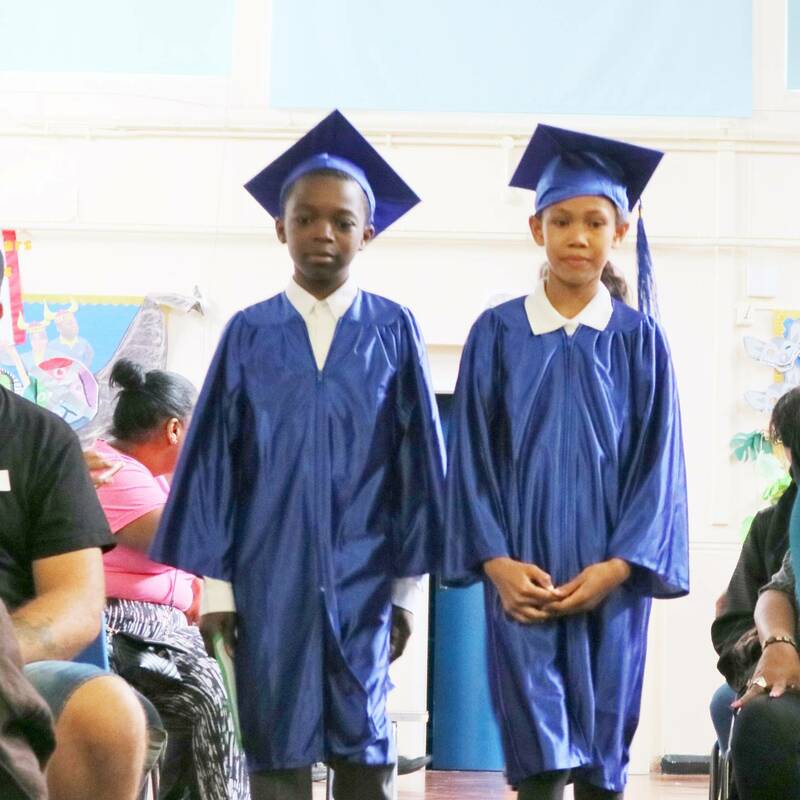 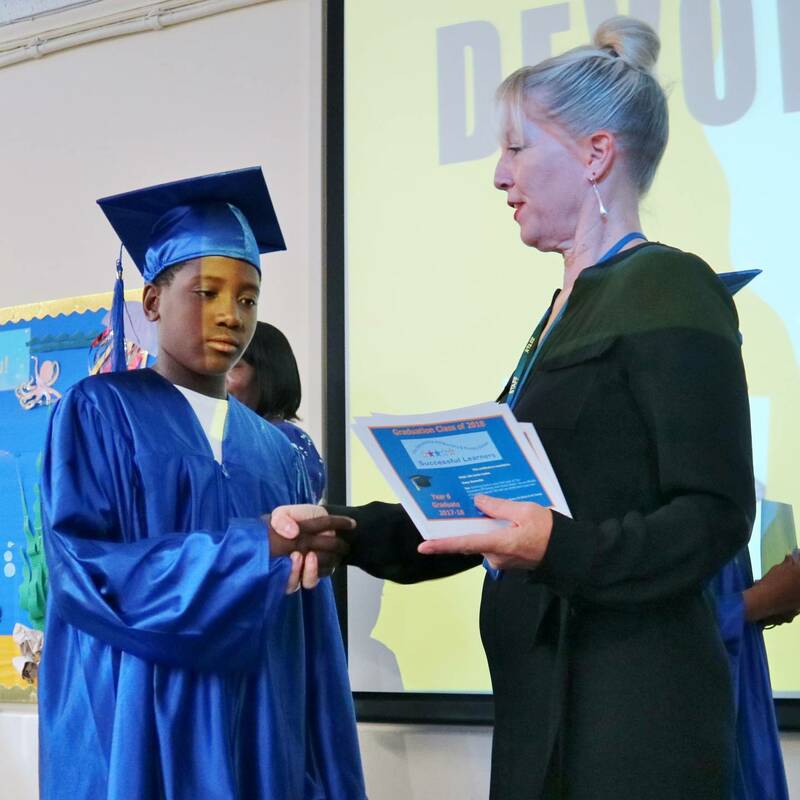 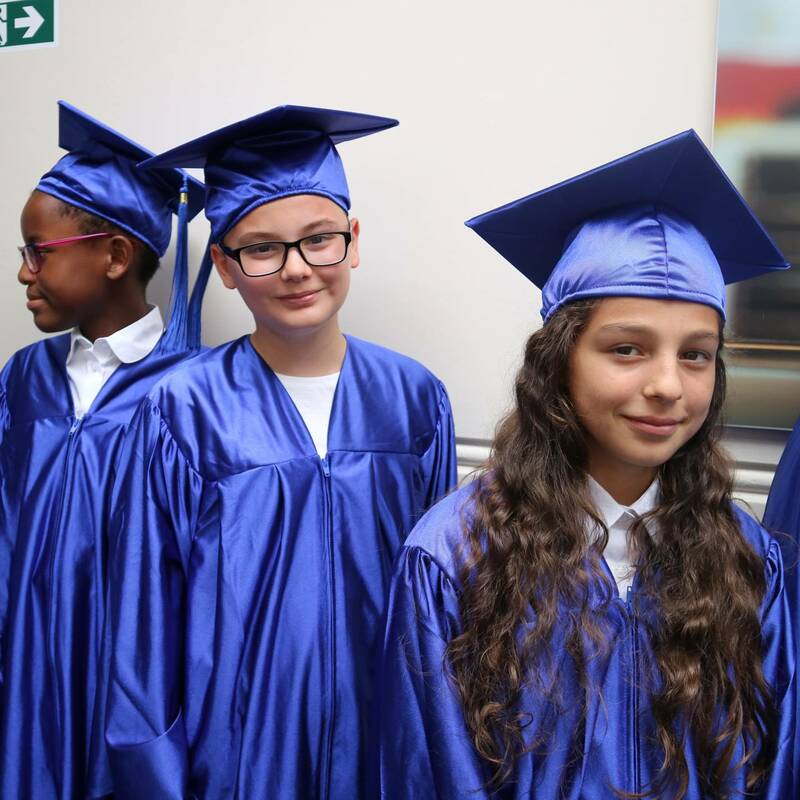 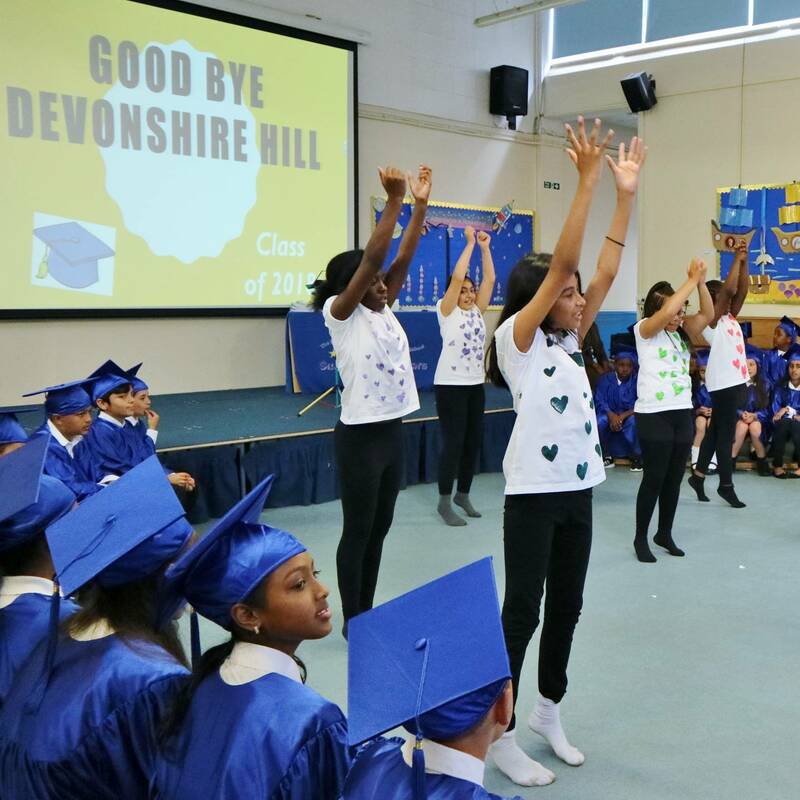 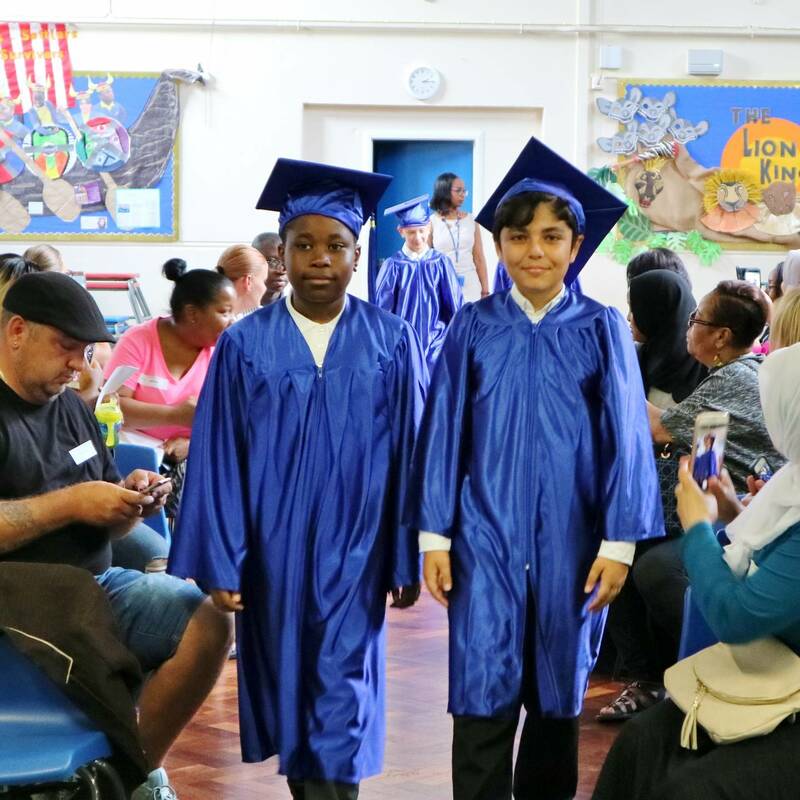 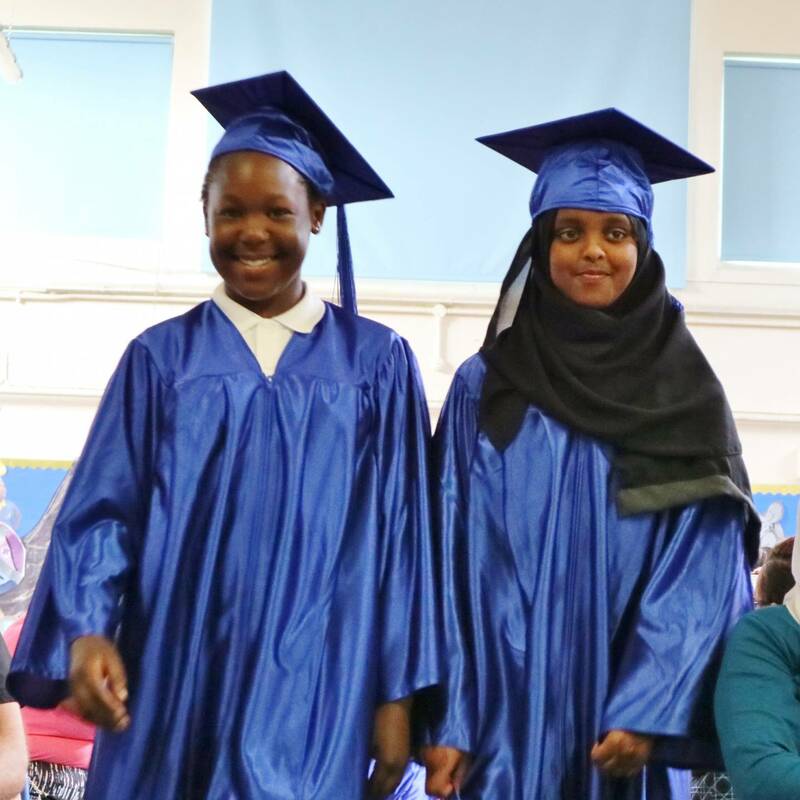 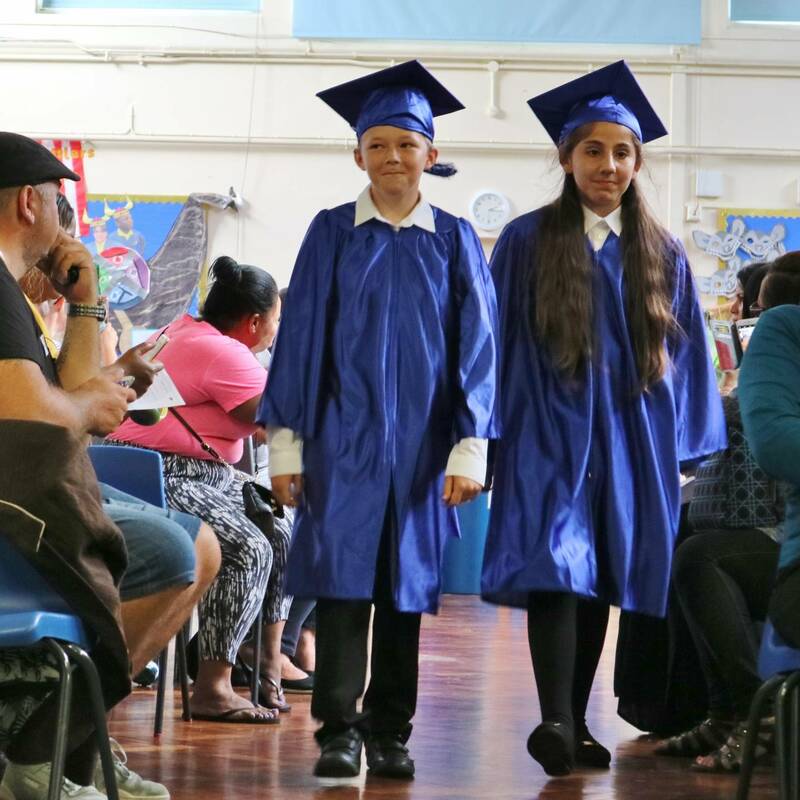 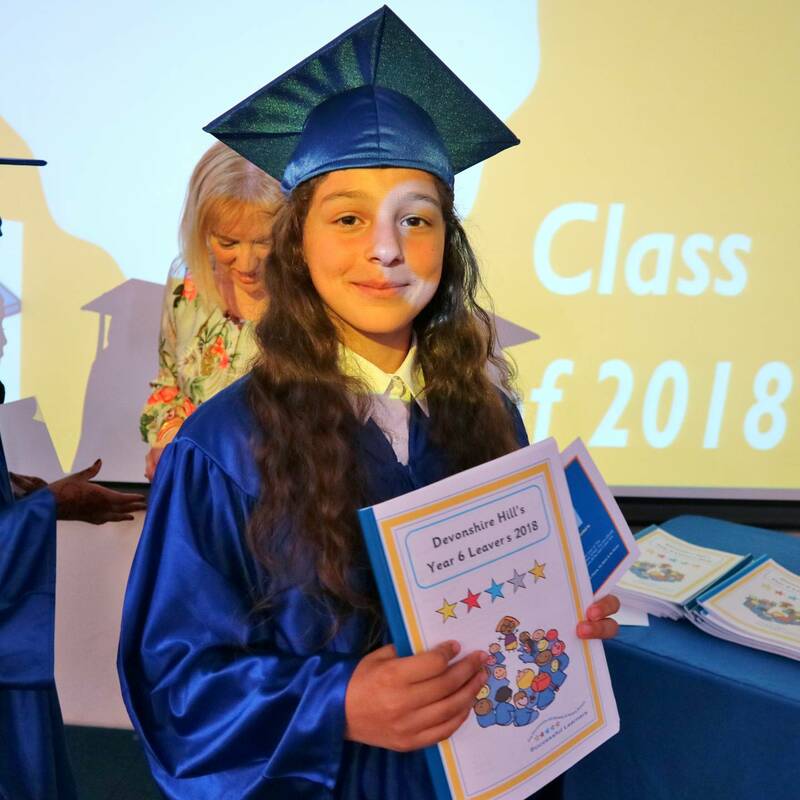 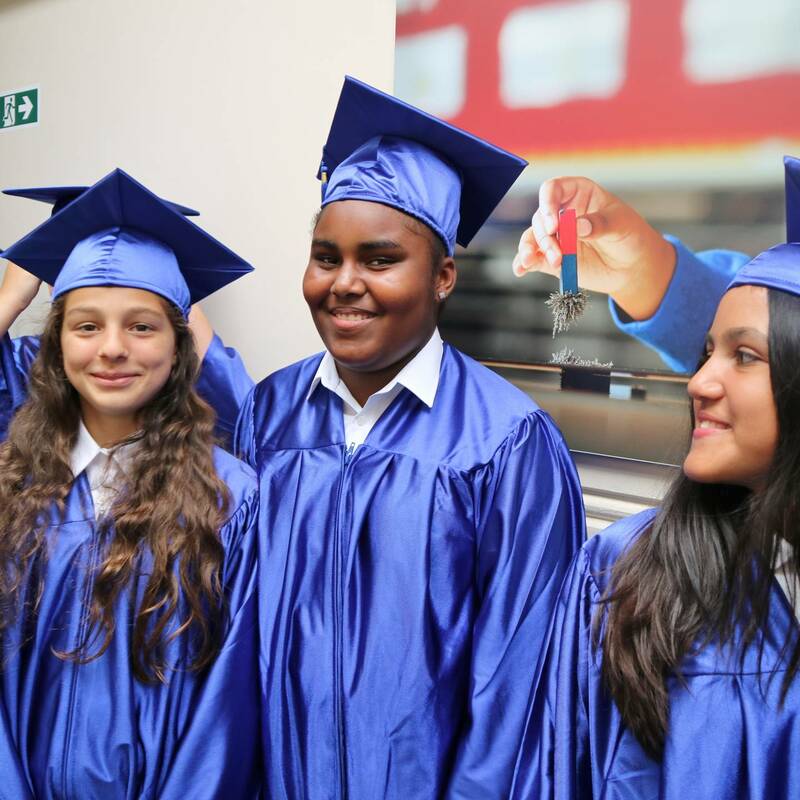 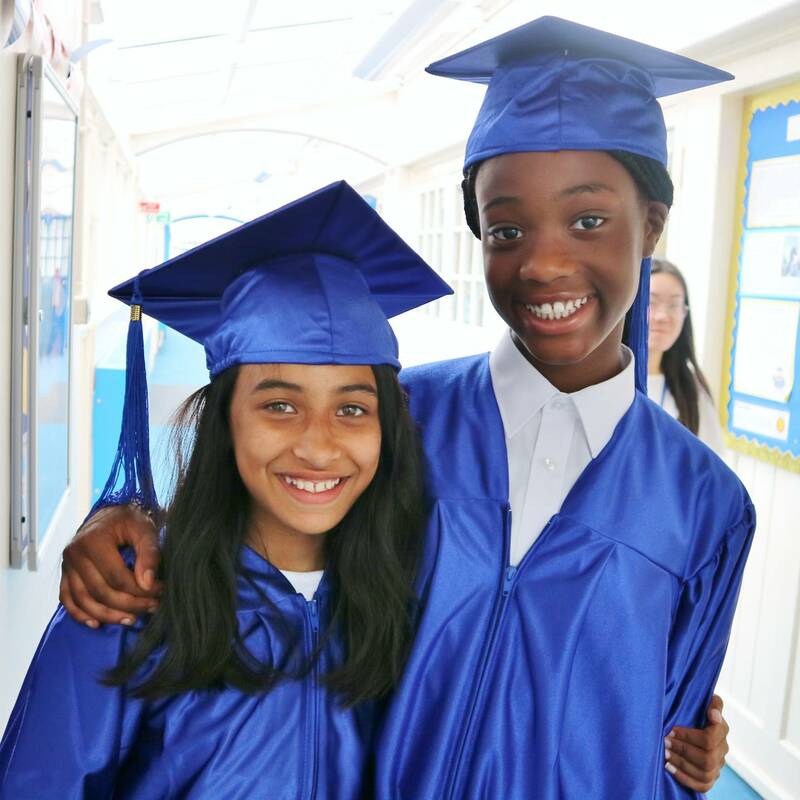 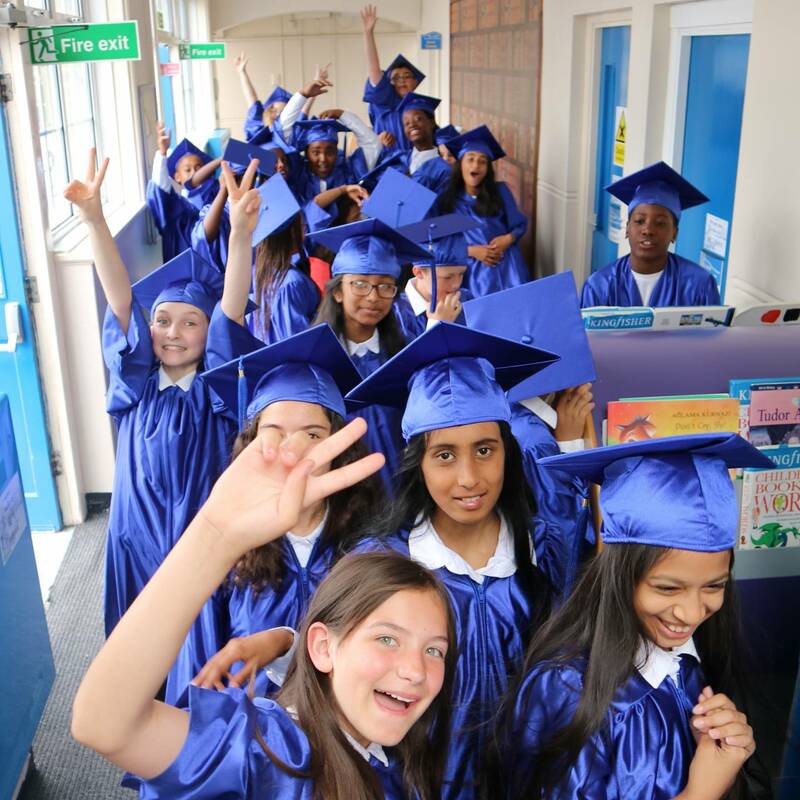 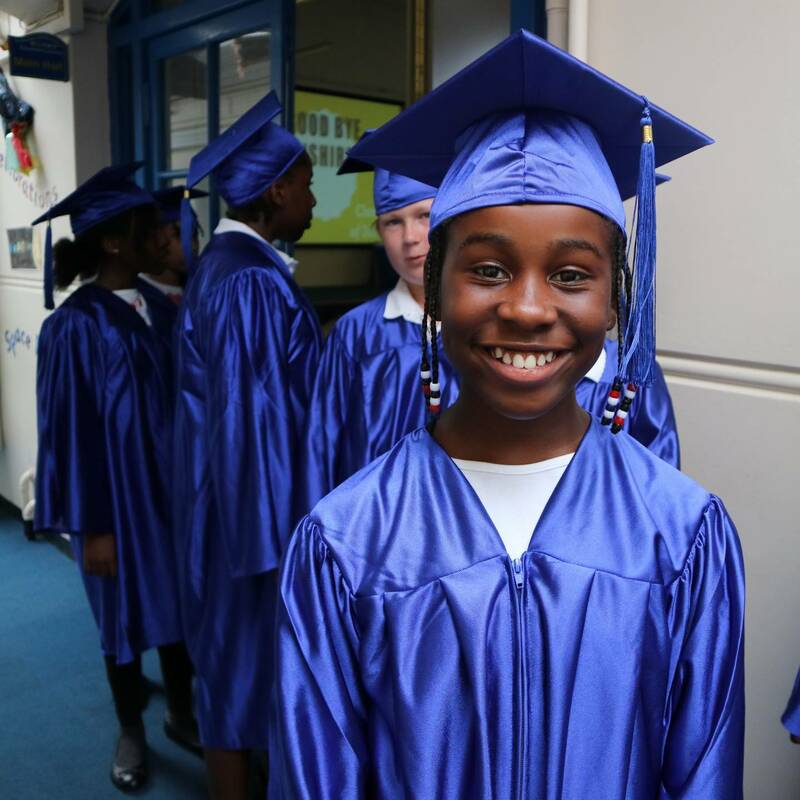 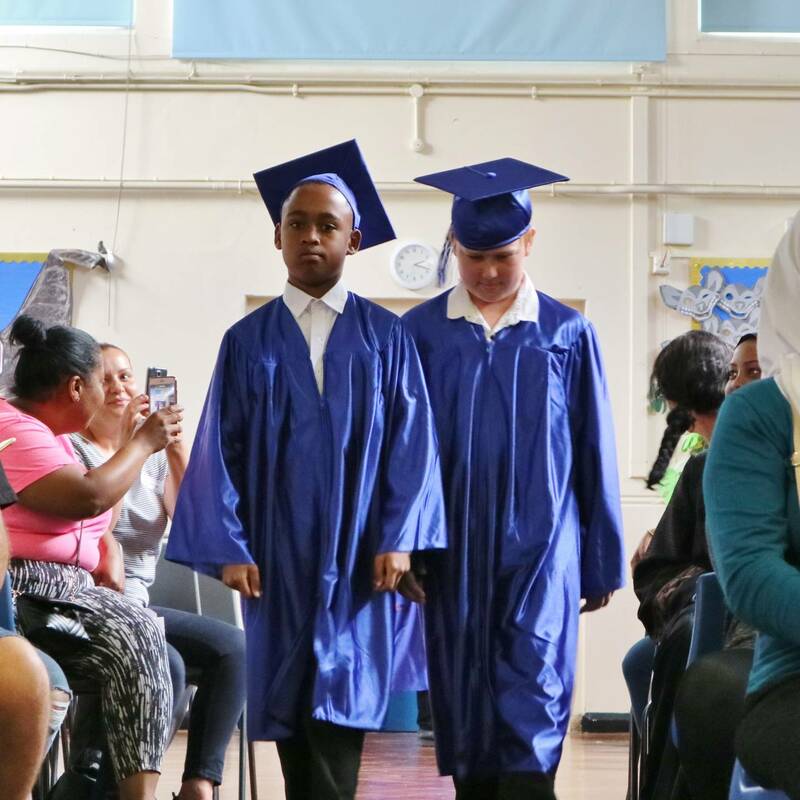 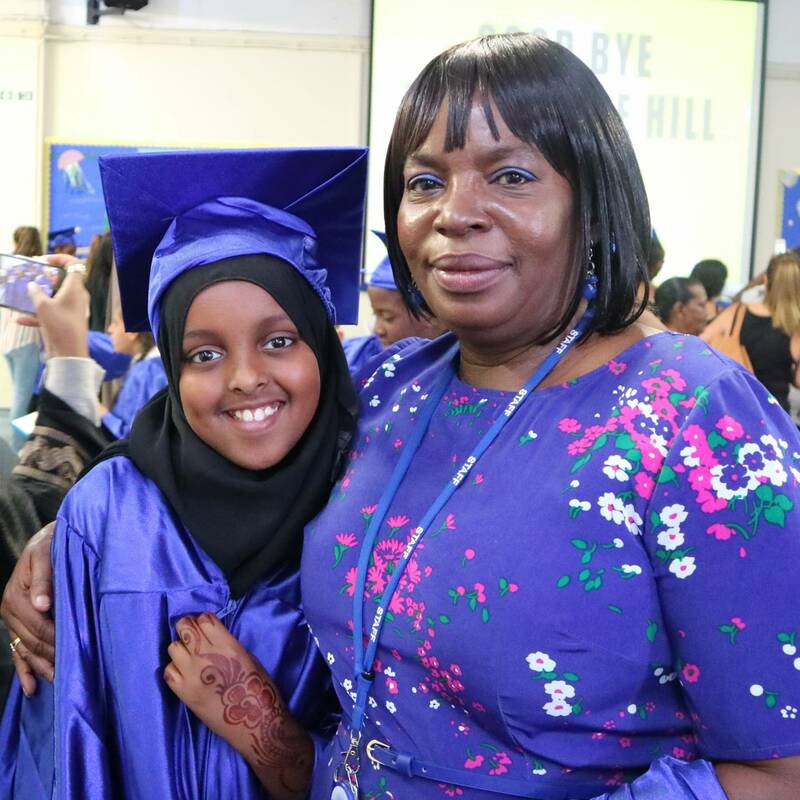 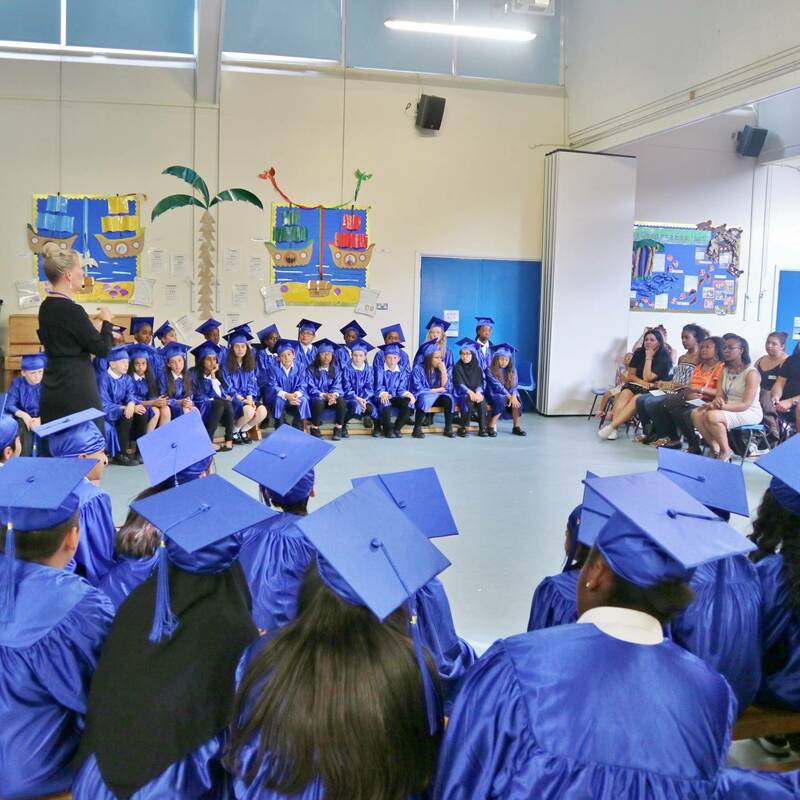 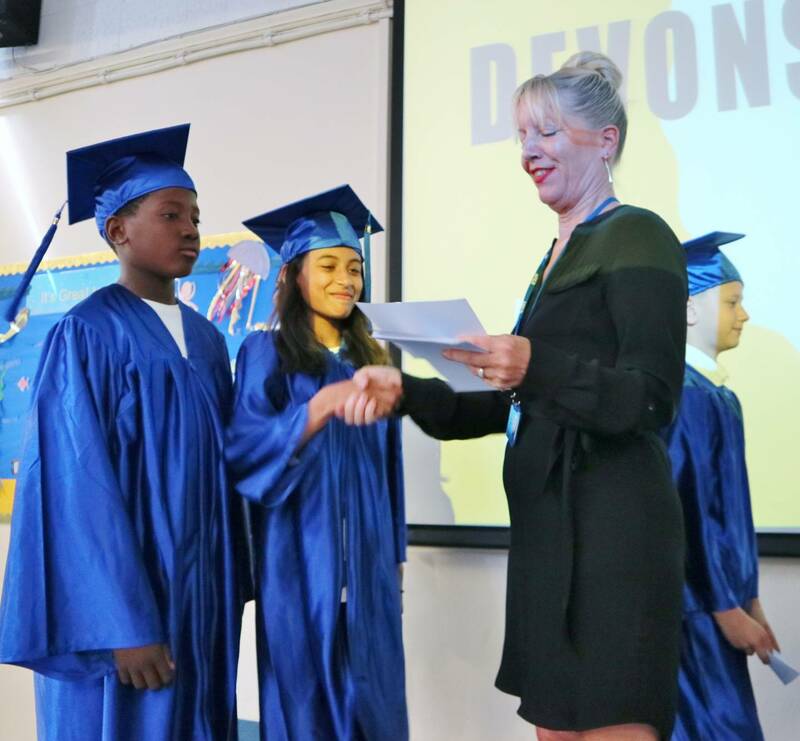 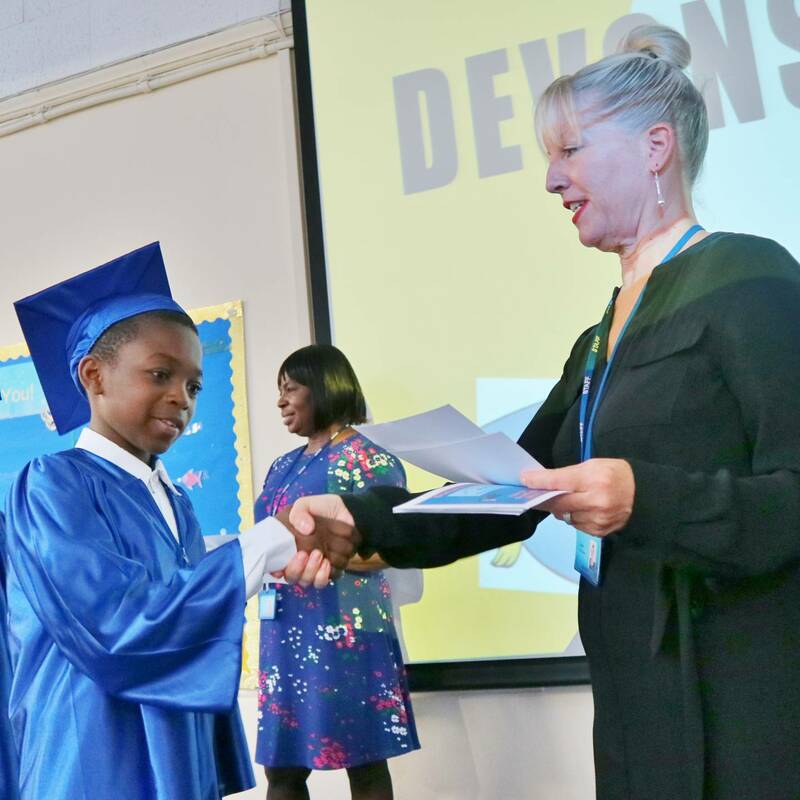 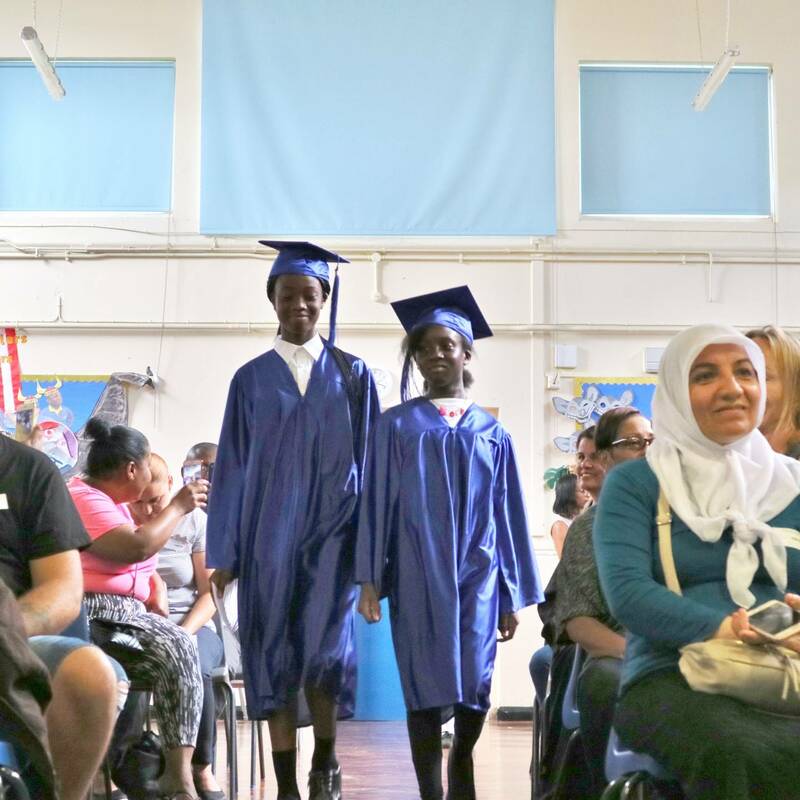 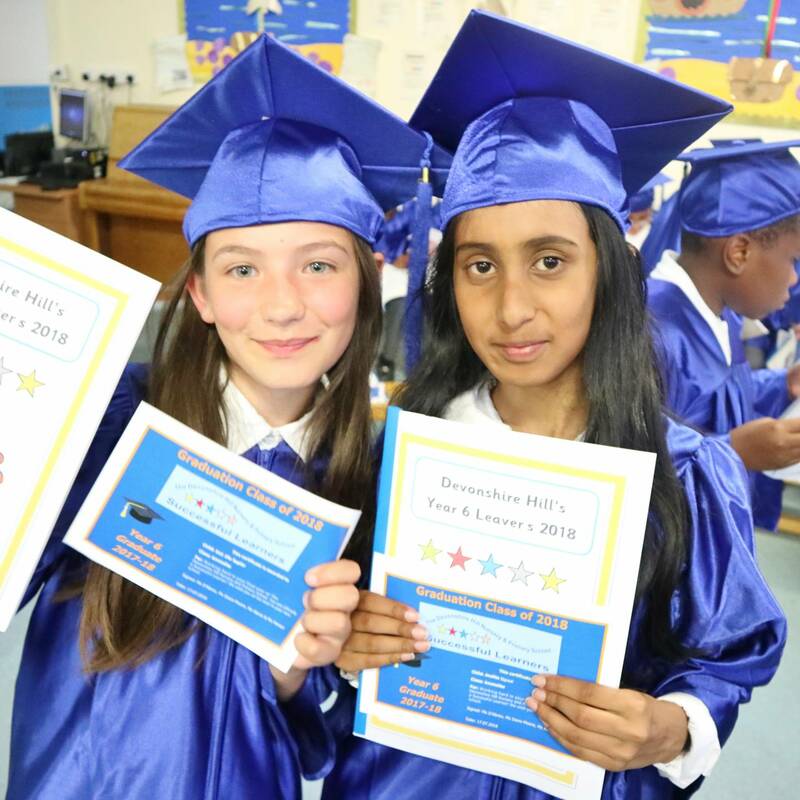 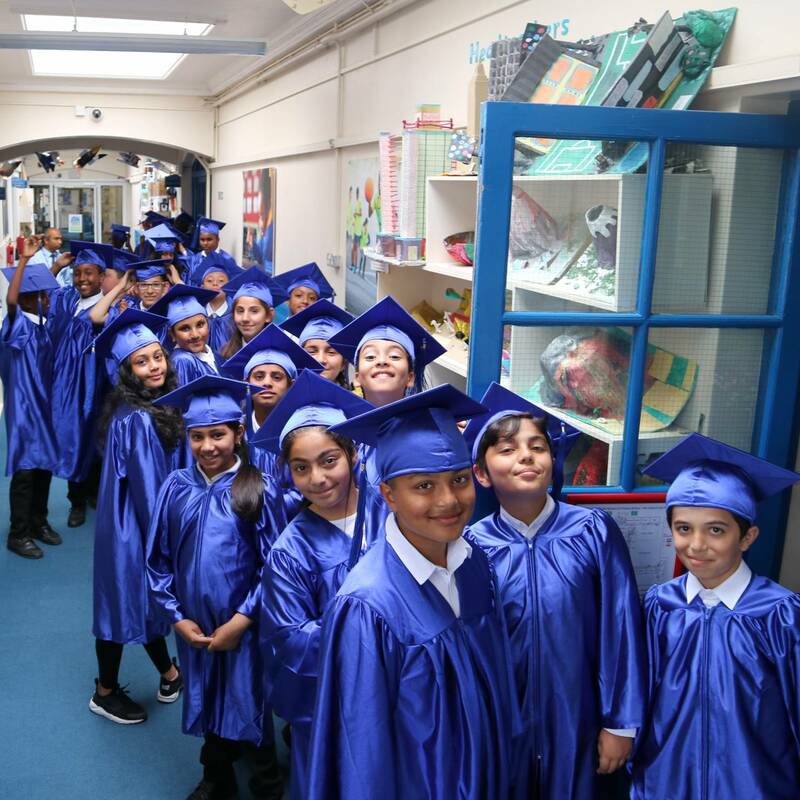 Congratulations to the Year 6 pupils who have now graduated from Devonshire Hill Primary School. 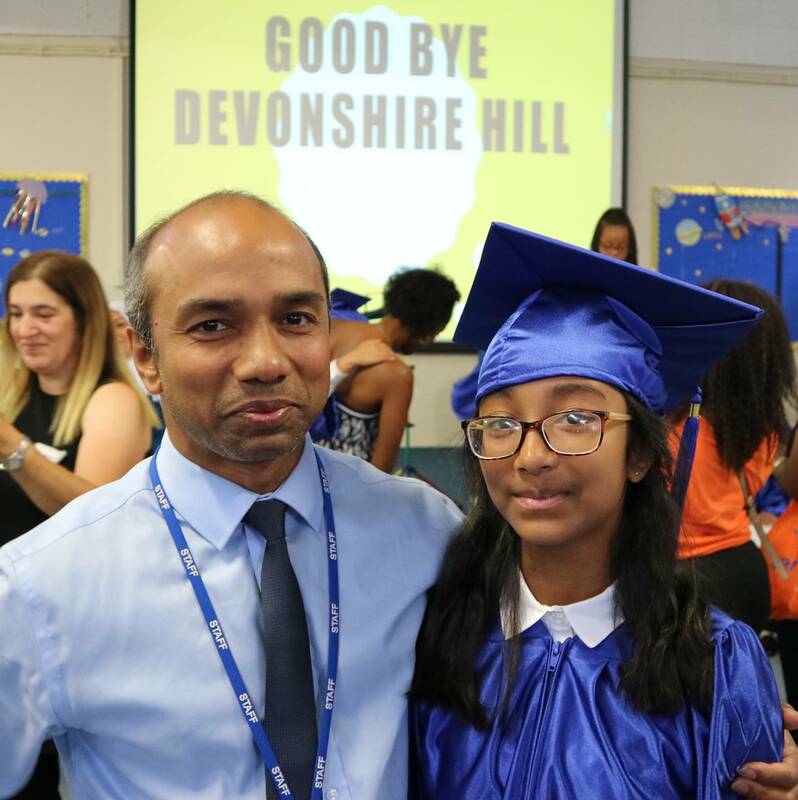 Thankyou to all family and friends who attended to offer their support. 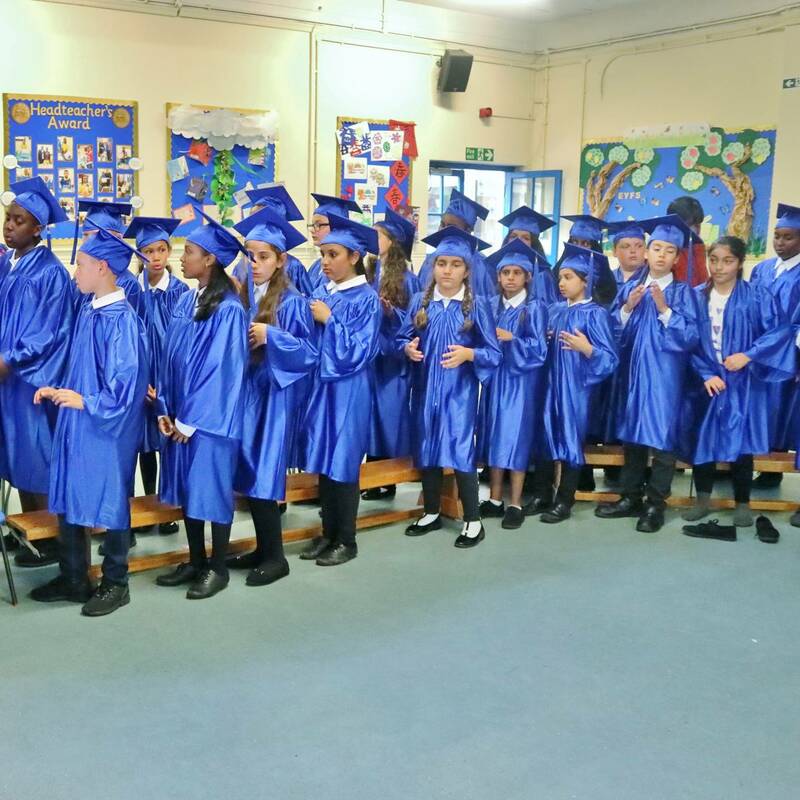 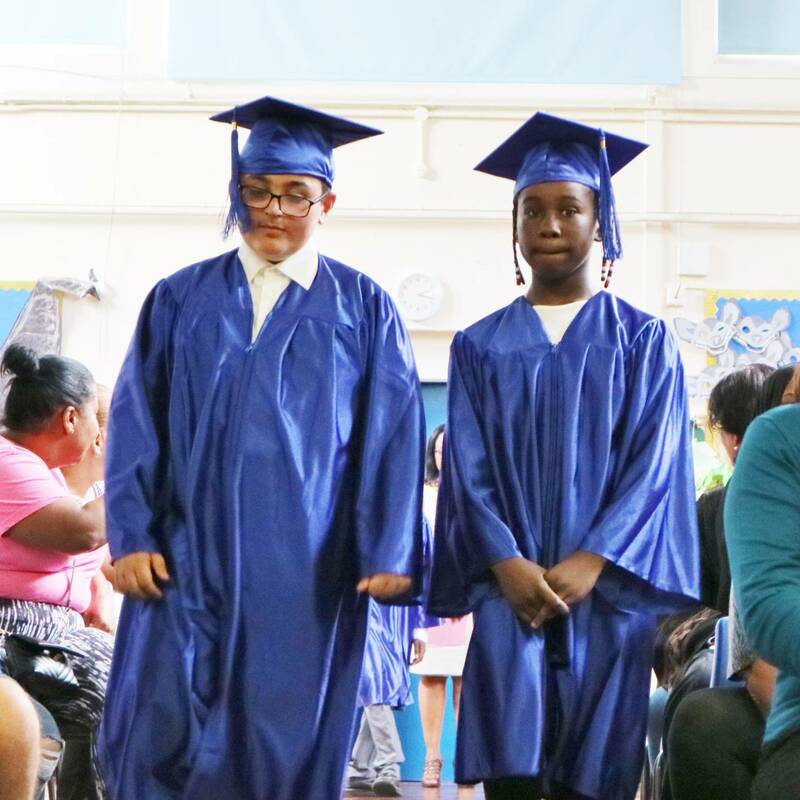 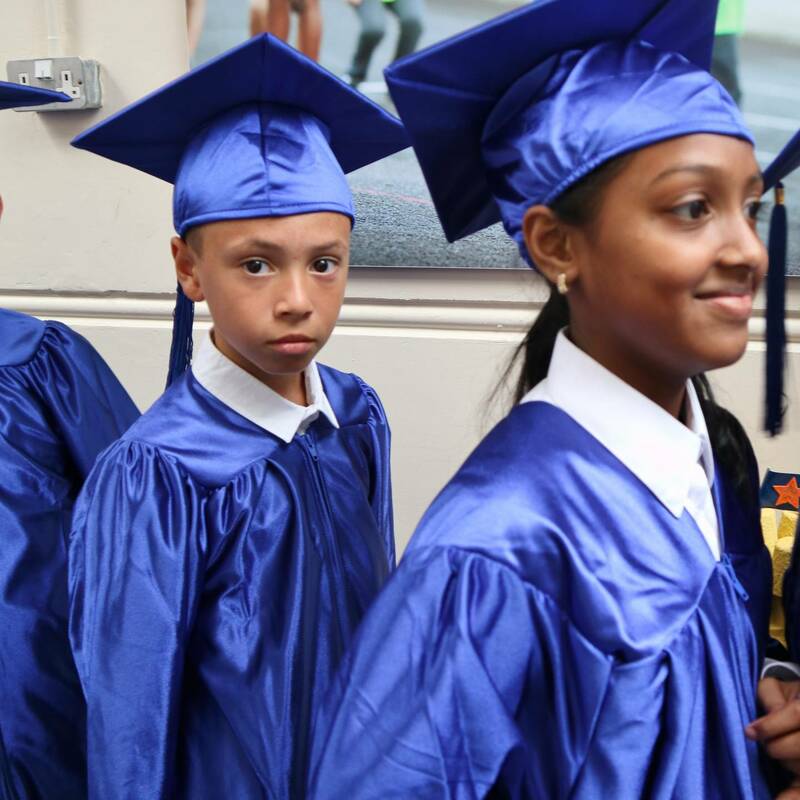 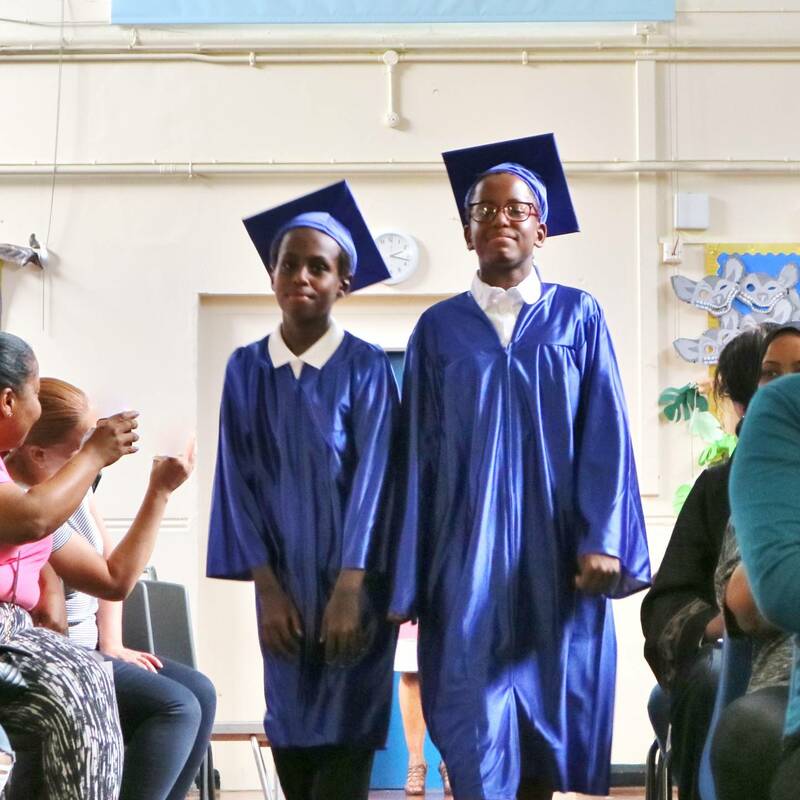 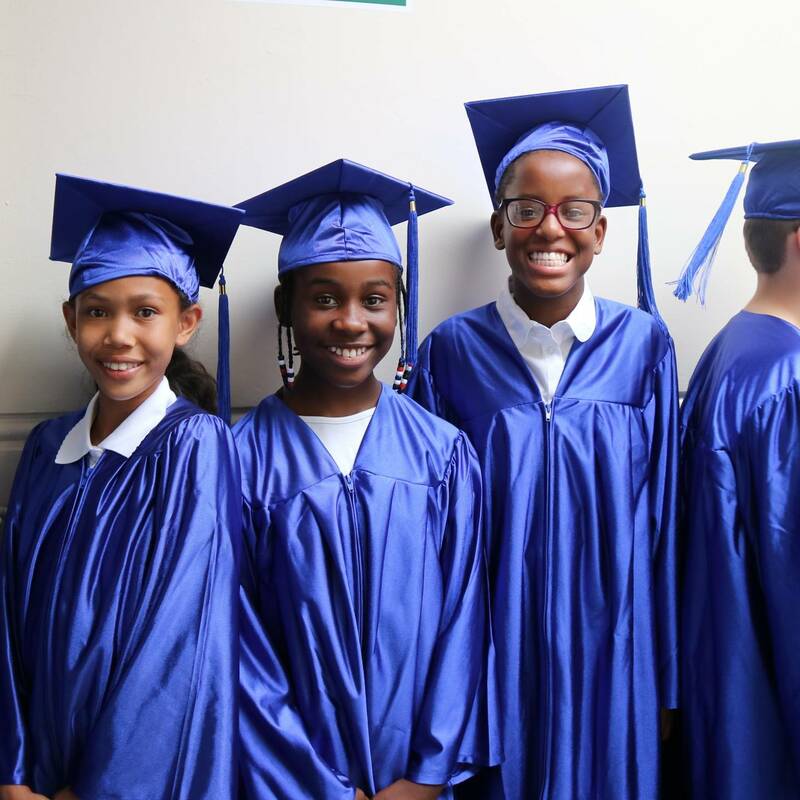 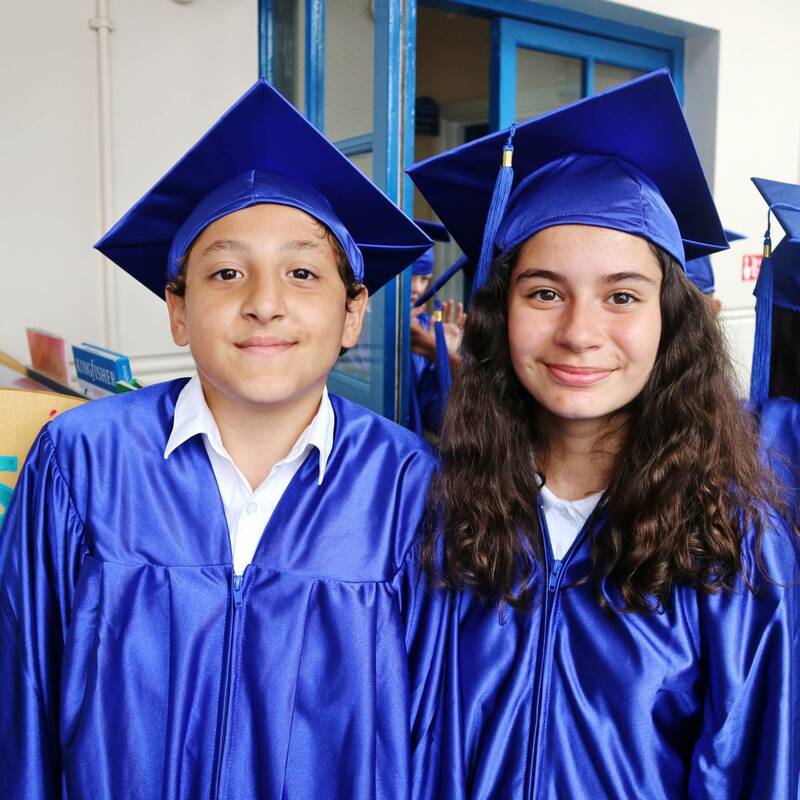 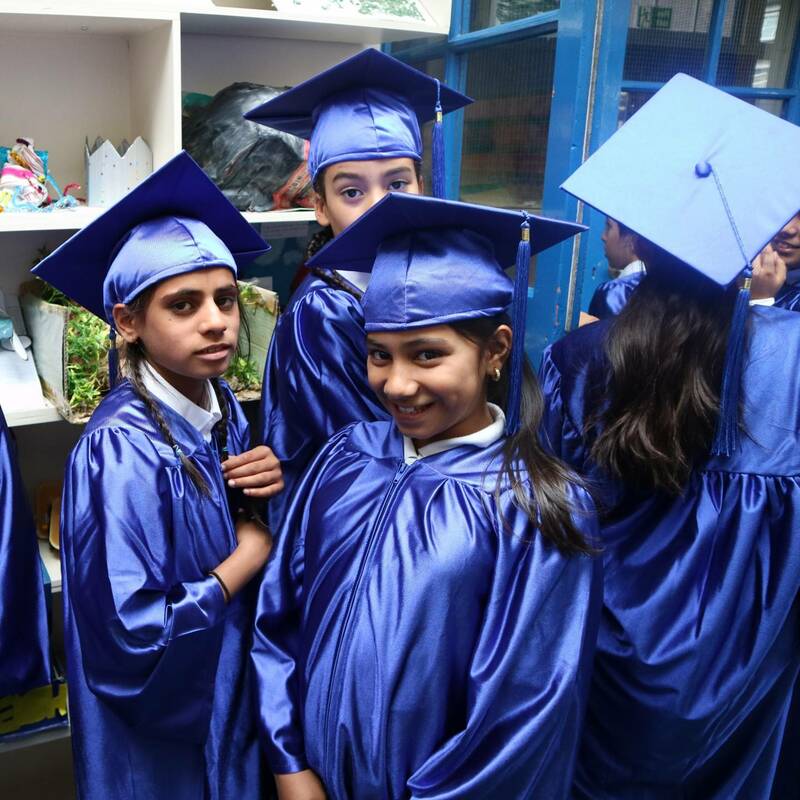 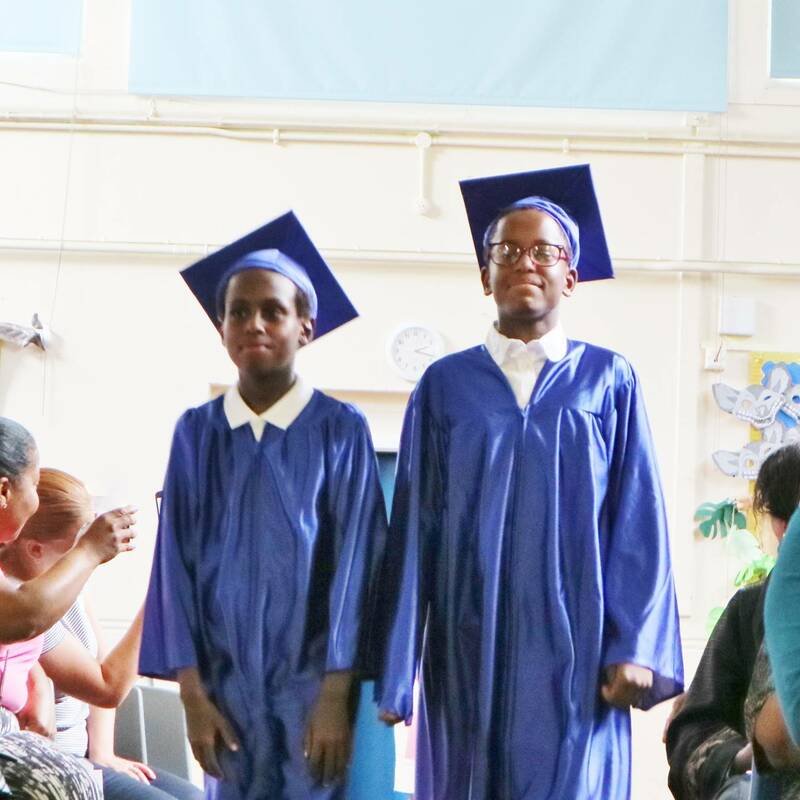 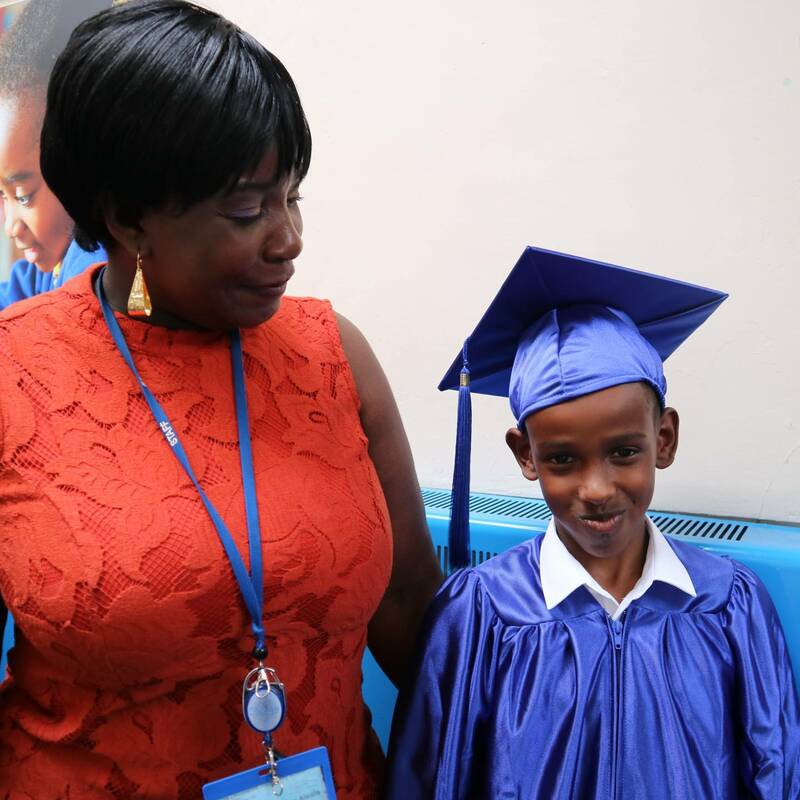 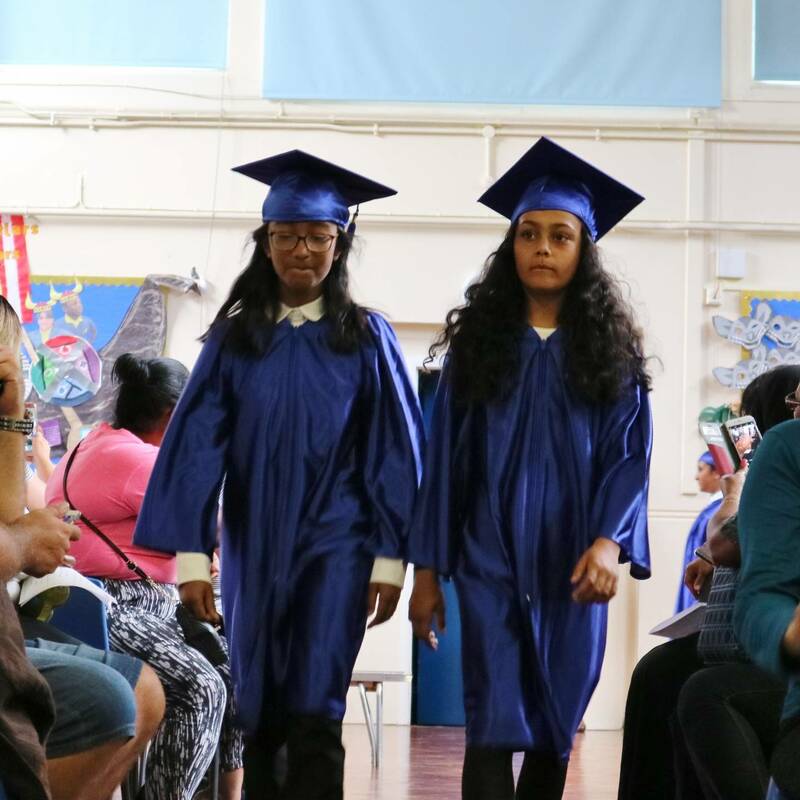 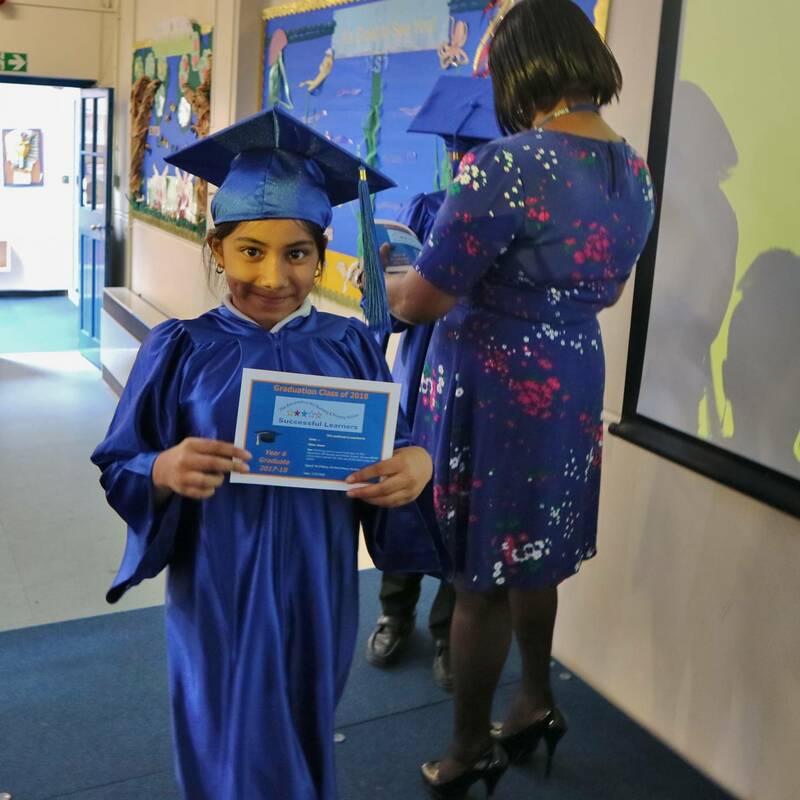 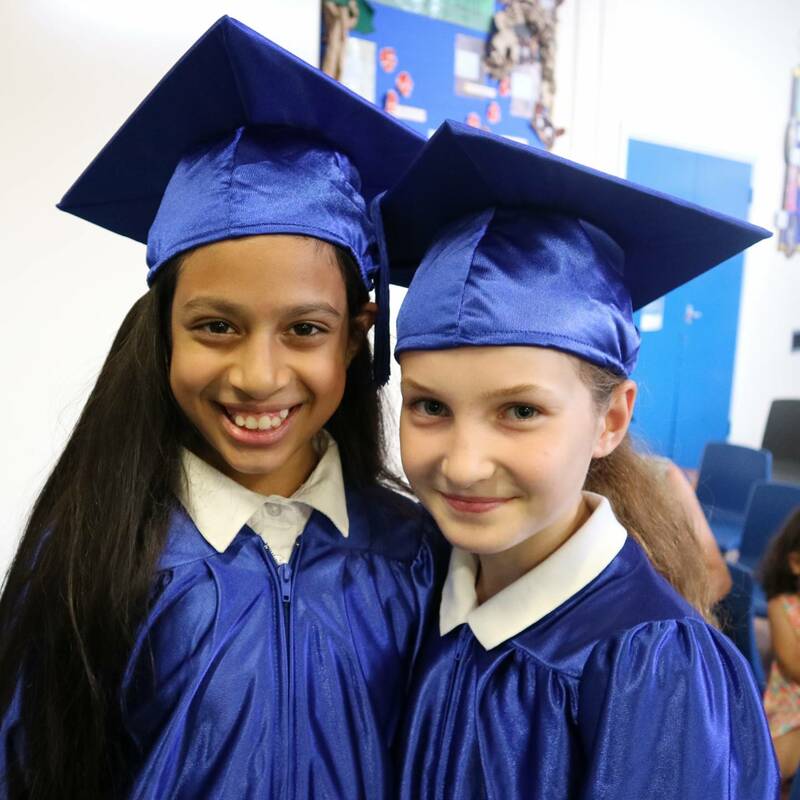 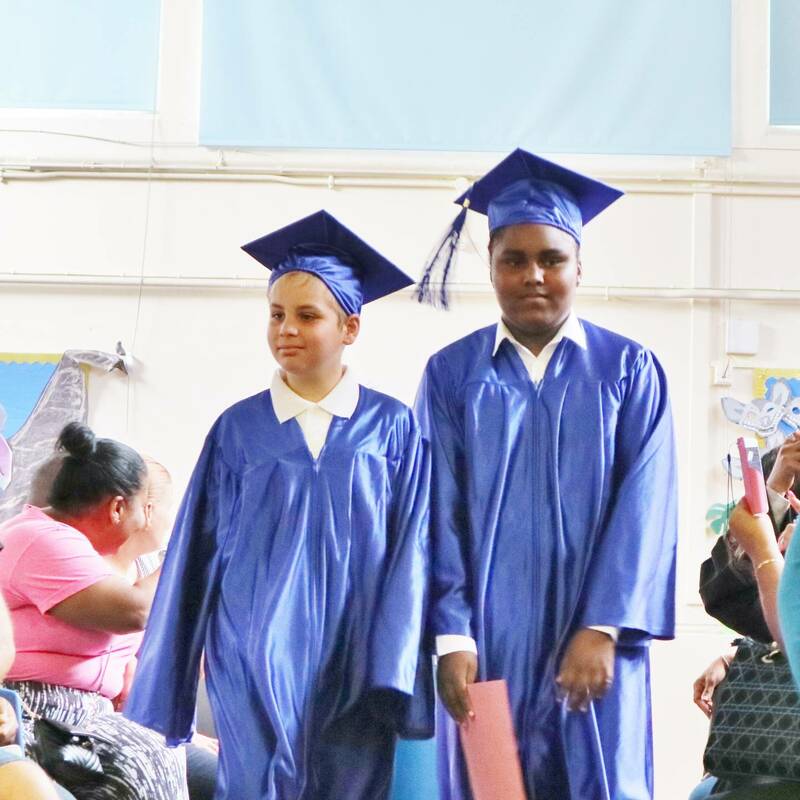 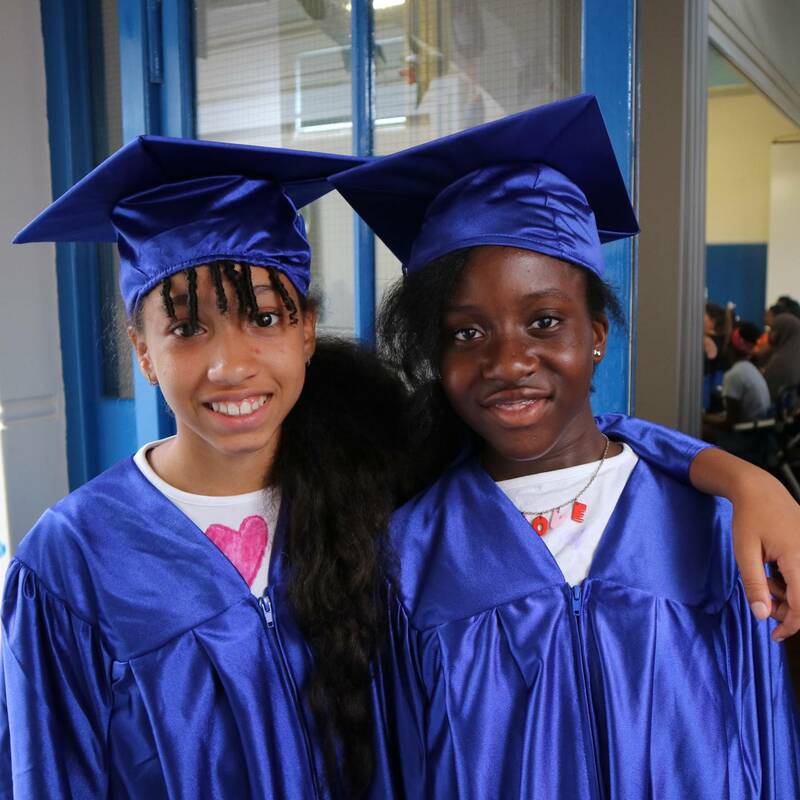 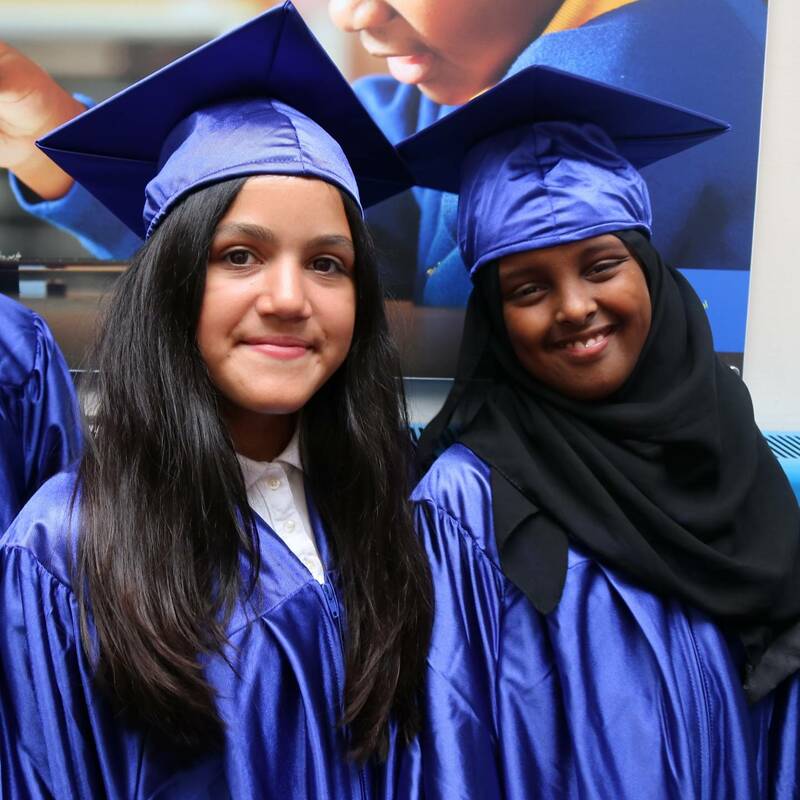 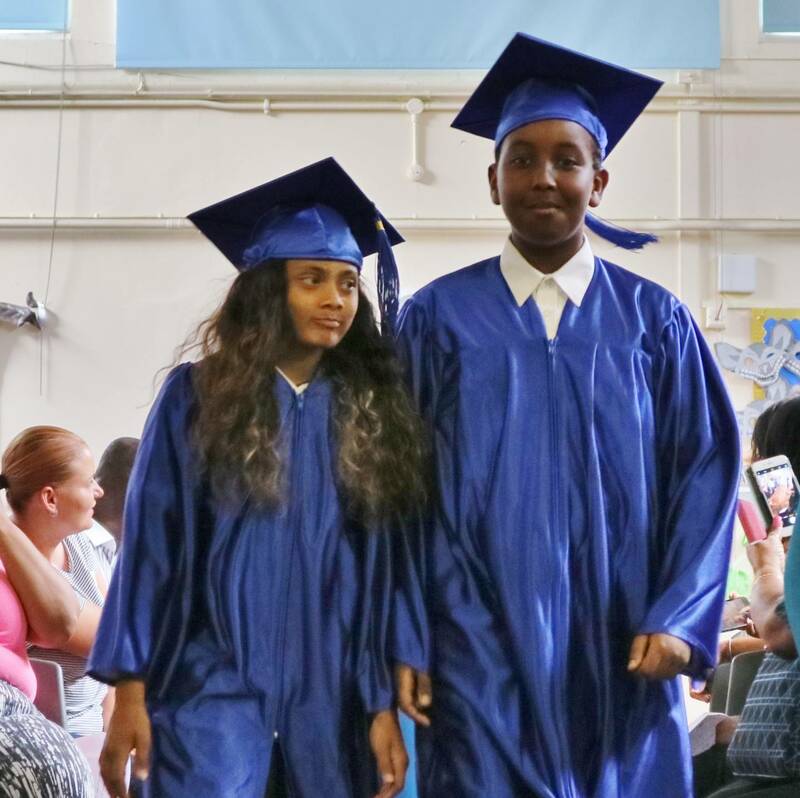 We know you will agree the children all looked so grown up in those royal blue gowns, and made everyone very proud. 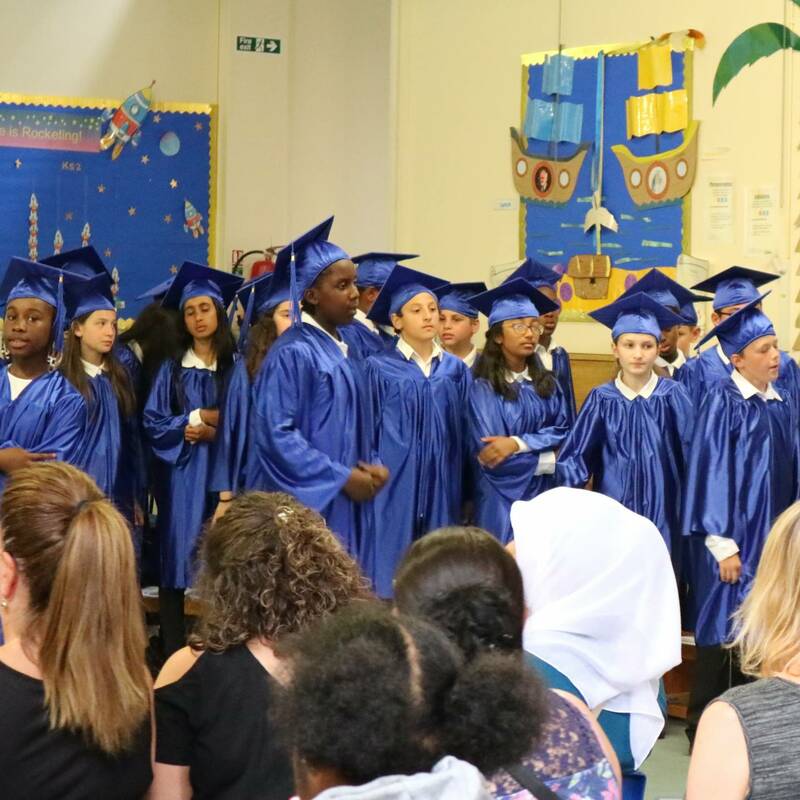 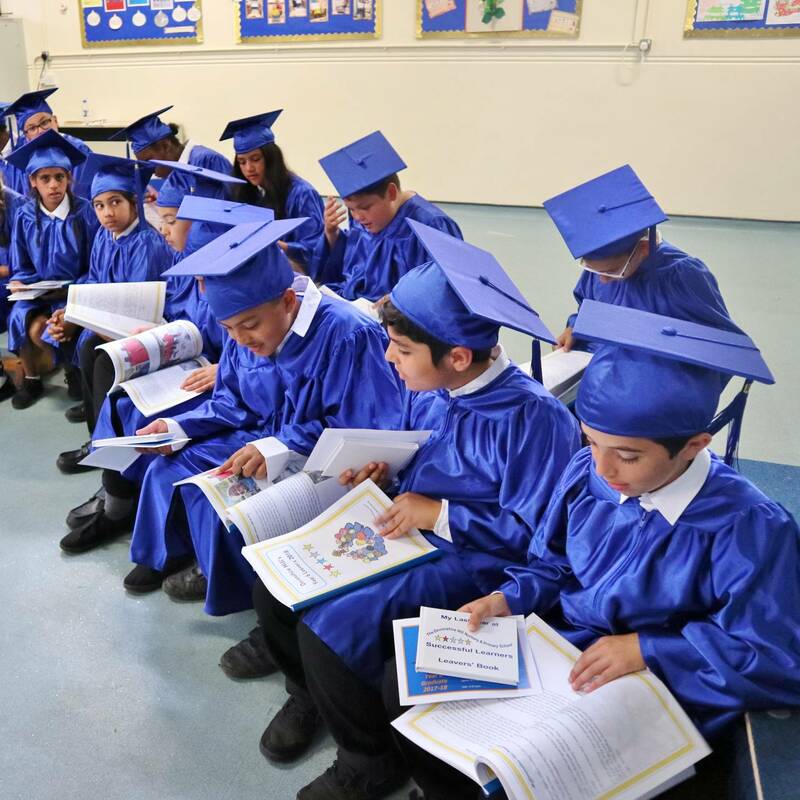 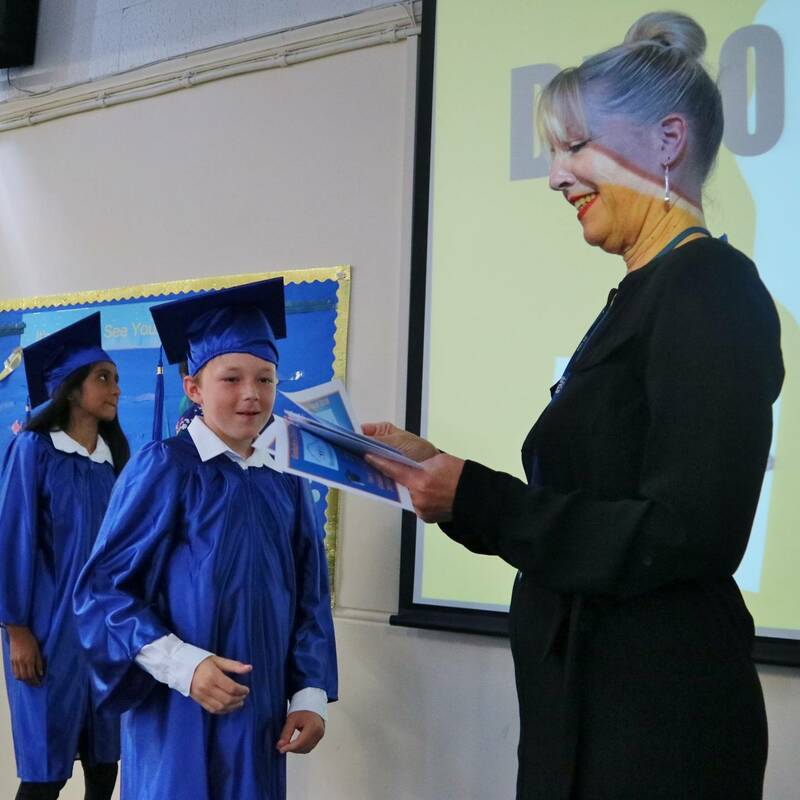 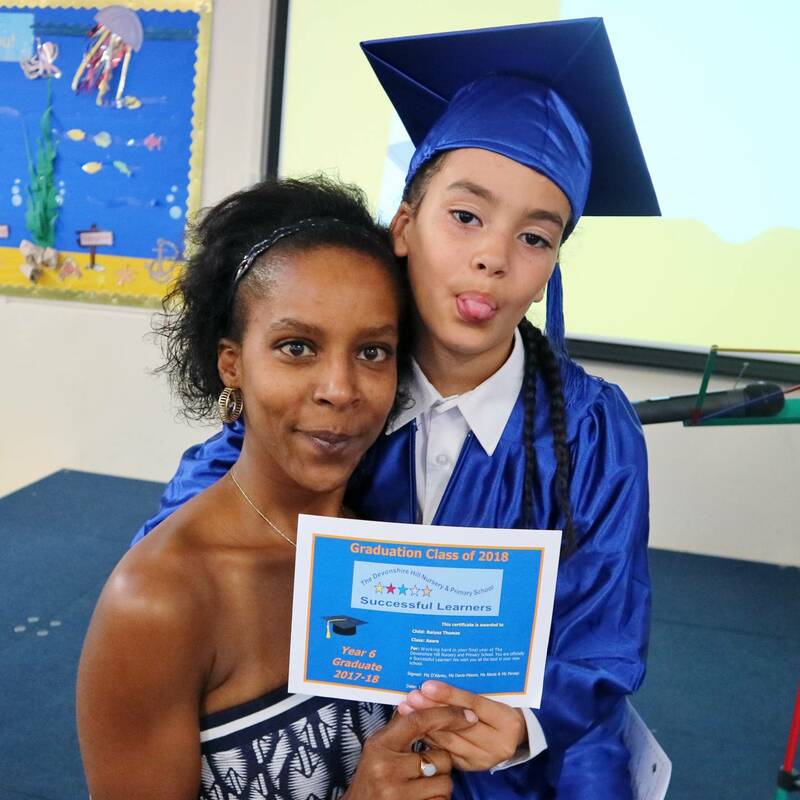 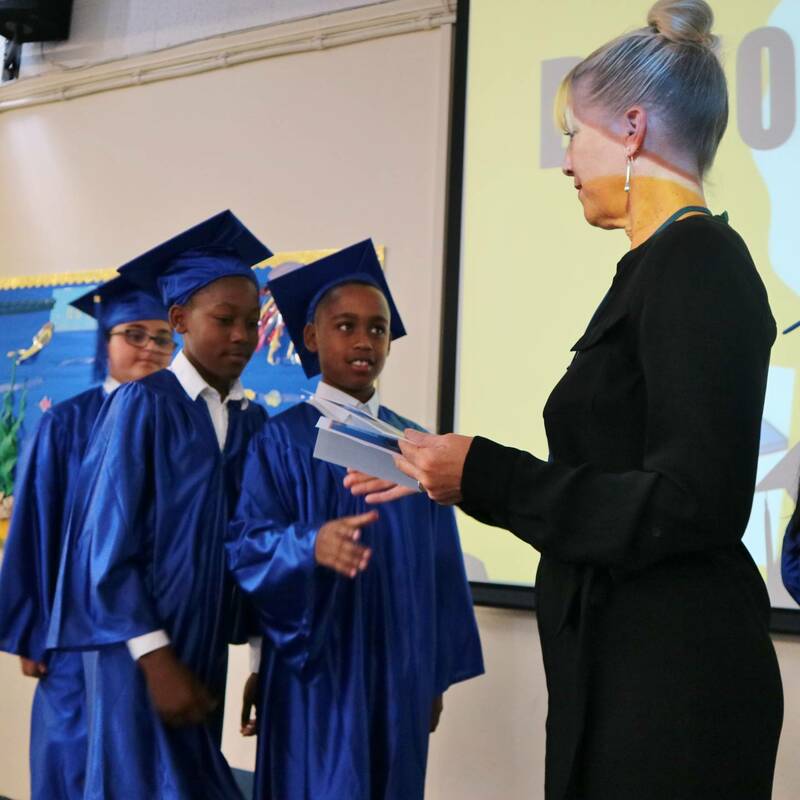 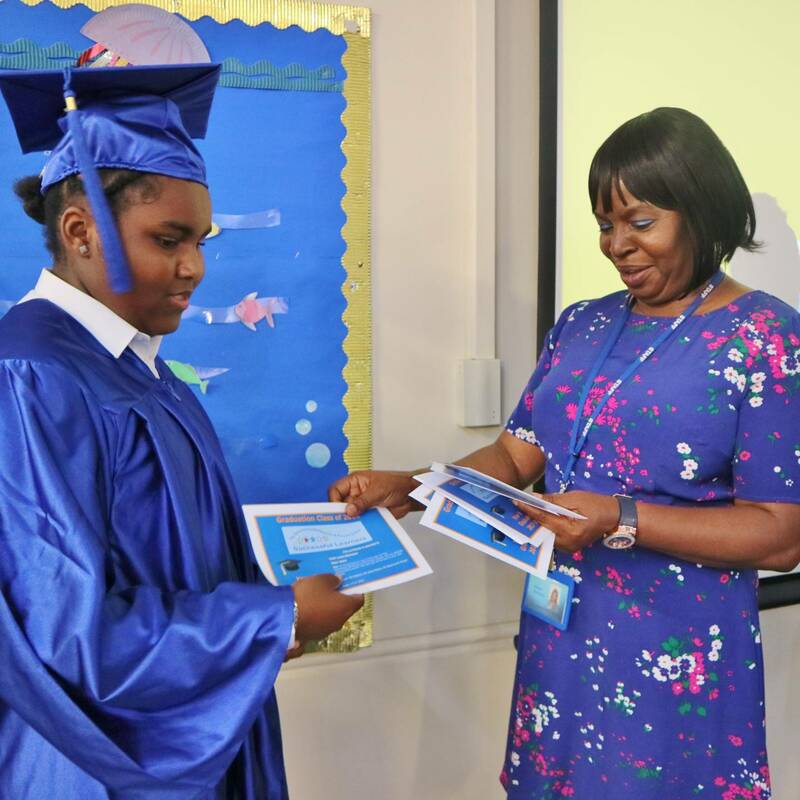 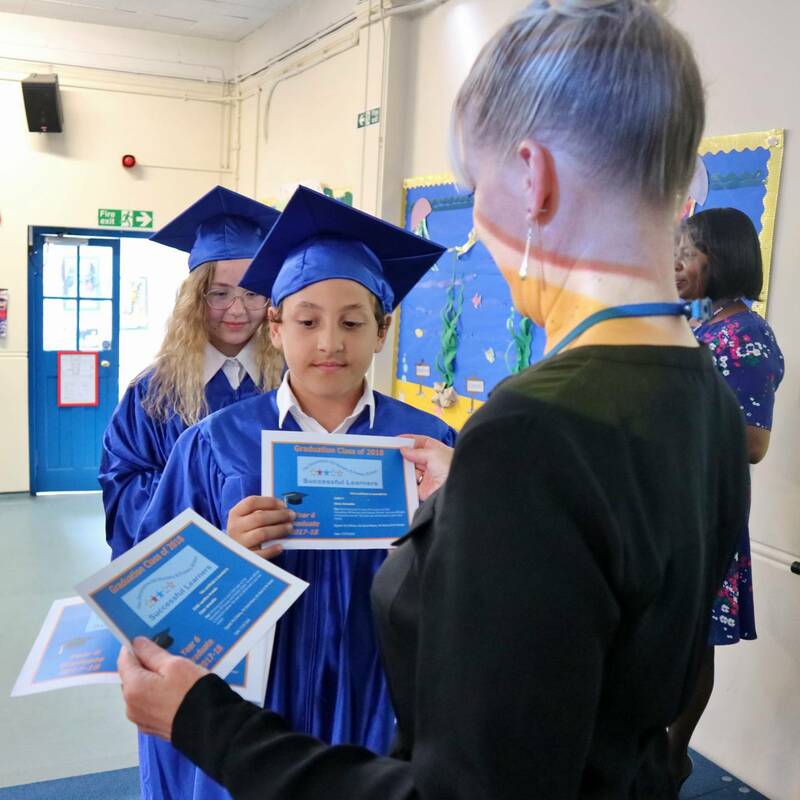 Our year 6 pupils received their Year Books at their ceremony and entertained us with singing, dance routines, poetry and speeches. 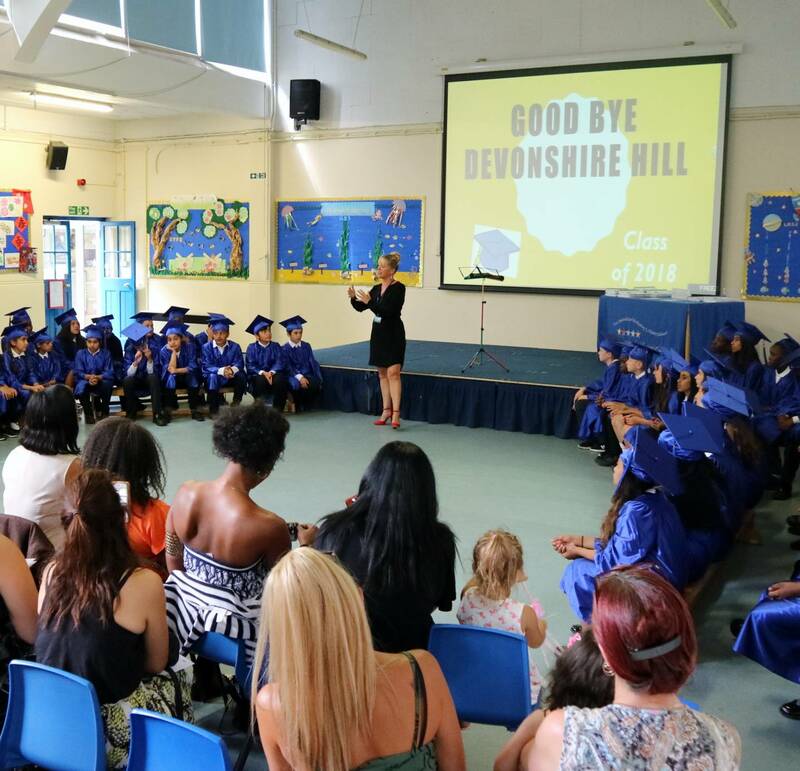 On behalf of all staff and pupils at Devonshire Hill we wish the former Year 6 pupils the best of luck in their new schools and remind you that you are Successful Learners for life! 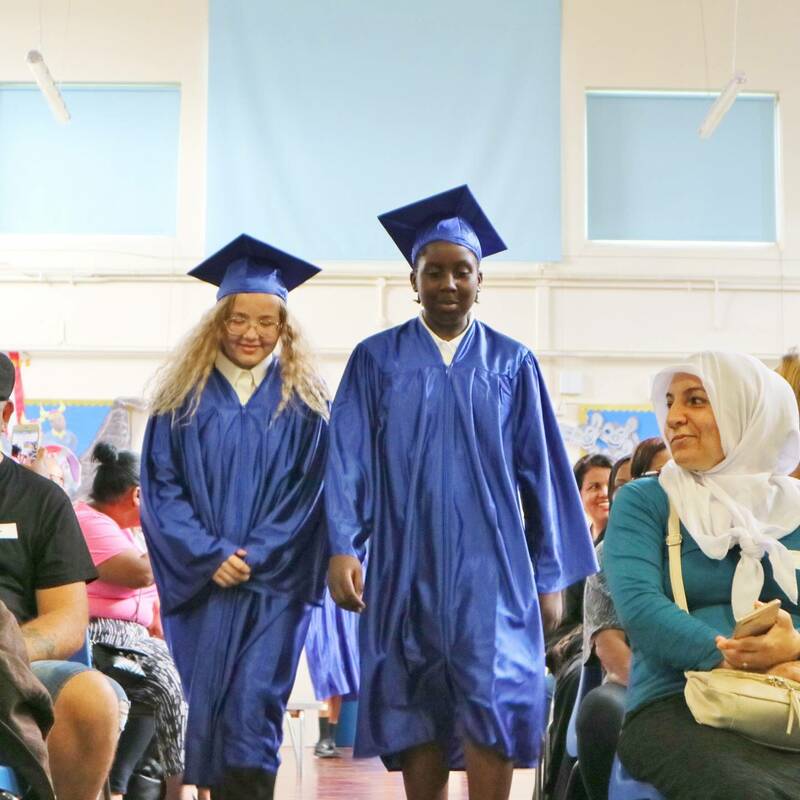 Don’t forget to come and visit us and tell us all about the next steps in your journey of success!